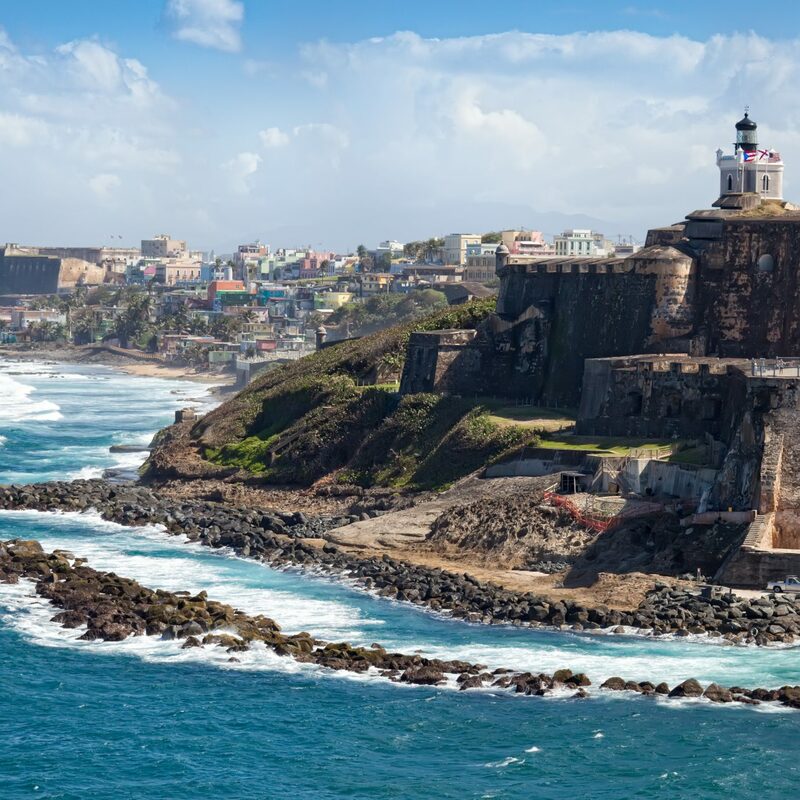 This summer, we partnered up with Martha Stewart Weddings and asked our readers and followers to reveal their ultimate honeymoon destinations in nine regions around the globe. Now, with nearly 9,000 of you accounted for, we've found our winners. 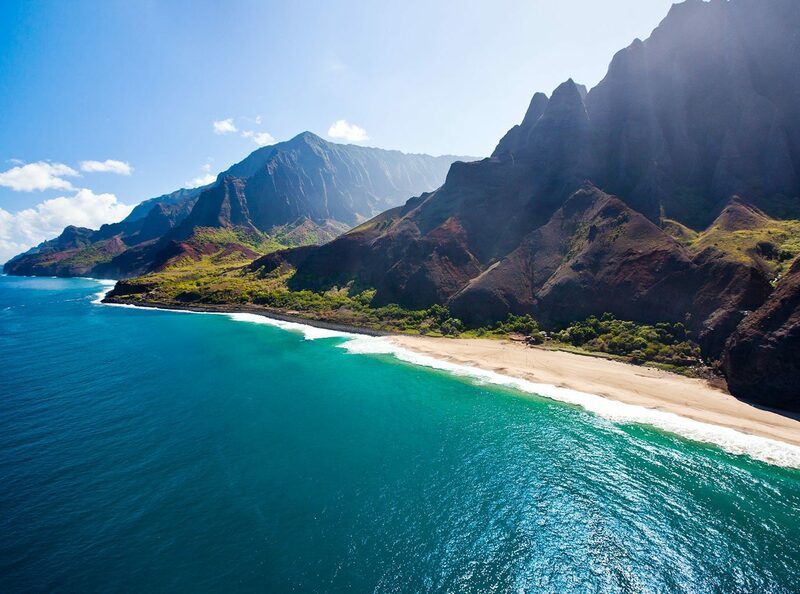 When it comes to a passport-free tropical sojourn, Maui topped the rest, followed closely by Kauai, the Big Island, Oahu, and the Florida Keys—perennially popular destinations for traveling lovebirds whose best hotels maximize time in the sun. 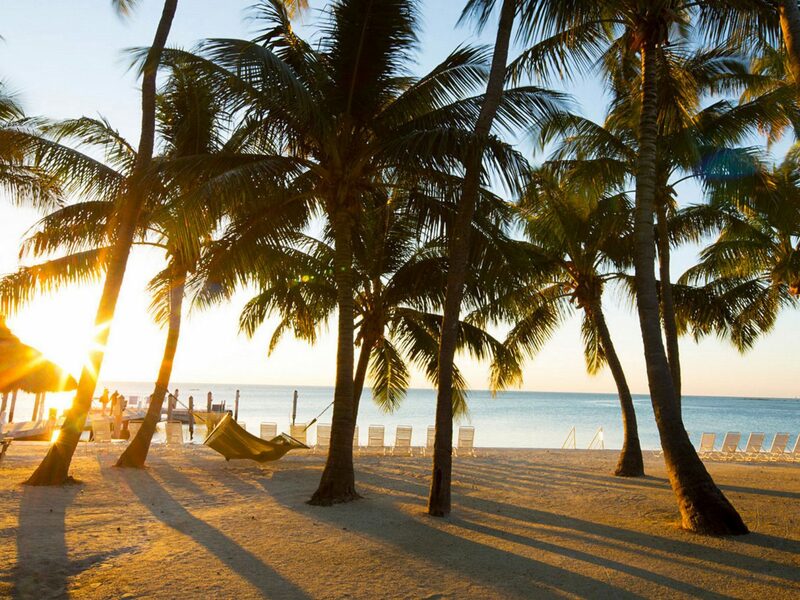 We’ve rounded up our favorite stays so you can go straight from "I do" to island time. 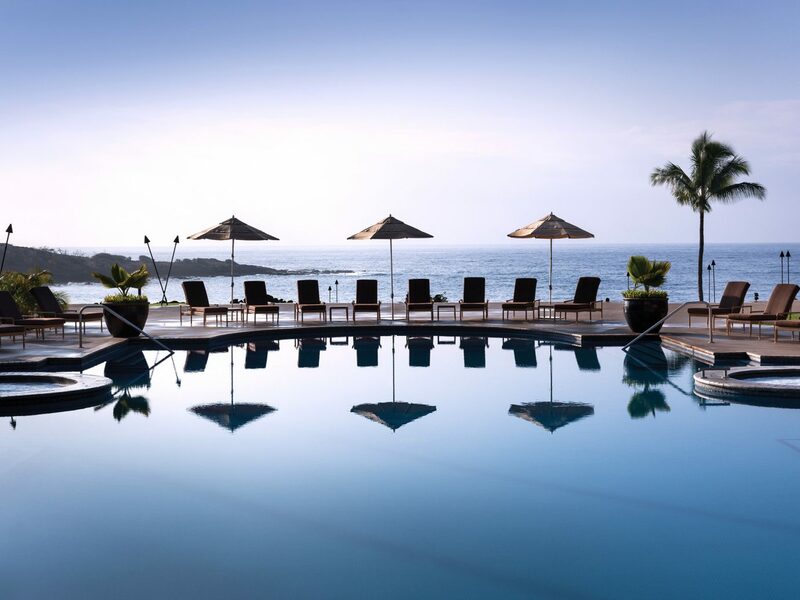 That the property was once a private club for Japanese investors explains the zen-like beauty of Hotel Wailea‘s grounds, filled with mango trees, bamboo stands, koi ponds, cascading waterfalls, and timber footbridges. 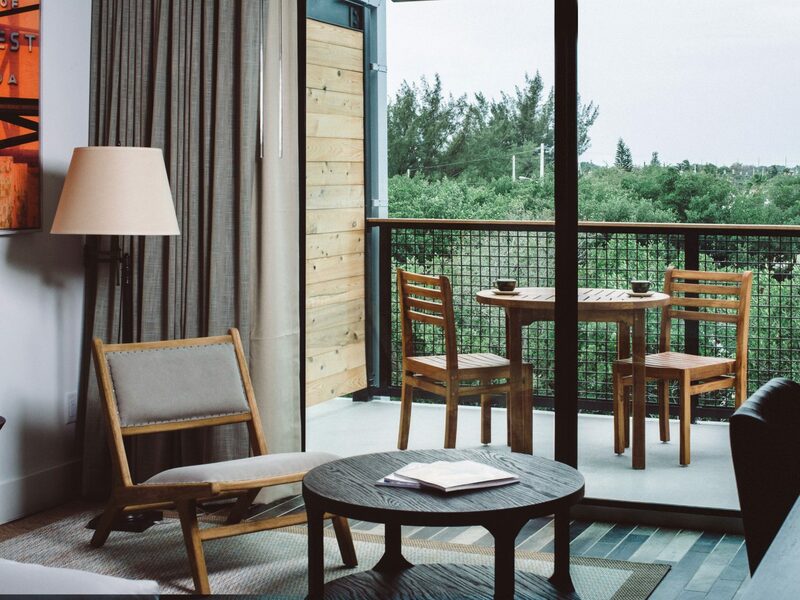 The 72 suites, grouped in sets of four, are tranquil oases designed for long-term relaxation, with kitchenettes, separate living and sleeping quarters done up with natural textures and tones from polished timber floorboards through to marine-themed artwork, and massive bathrooms with deep soaking tubs and enormous rain showers. 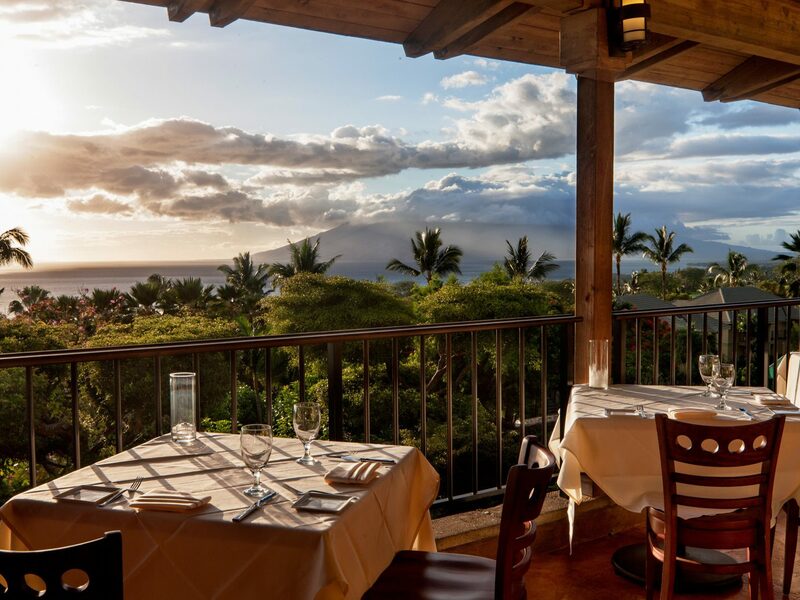 The Restaurant at Hotel Wailea offers romantic Hawaiian dining—think Kona lobster and Kauai shrimp—with a view from the balcony or more intimate low-walled garden. 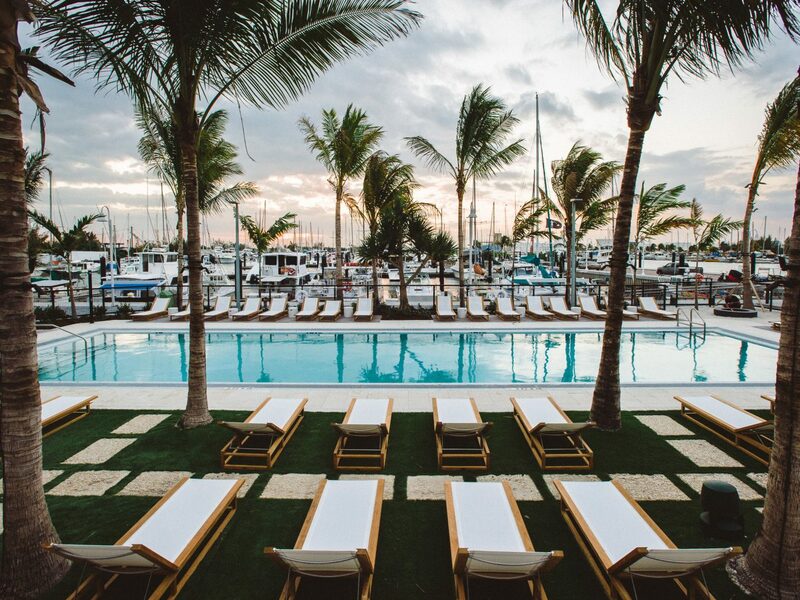 While the beach is a chauffeured drive away, the hotel has plenty of draws to keep you onsite, like the cabana-lined pool with its own apothecary-style bar that serves up all things fresh and fruity. 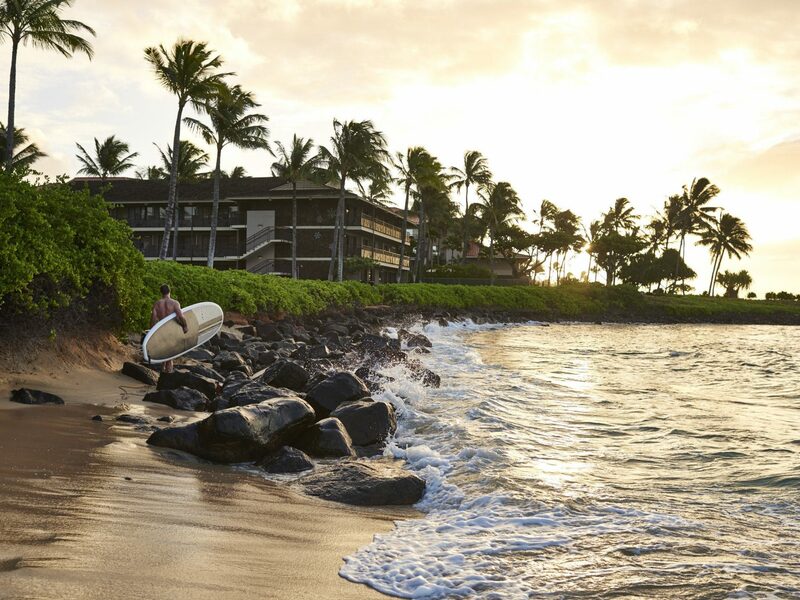 Although the exterior of this 1990 horseshoe-shaped mid-rise resembles many other upscale Hawaii beach resorts, inside, the Four Seasons is a cocoon of understated swank. 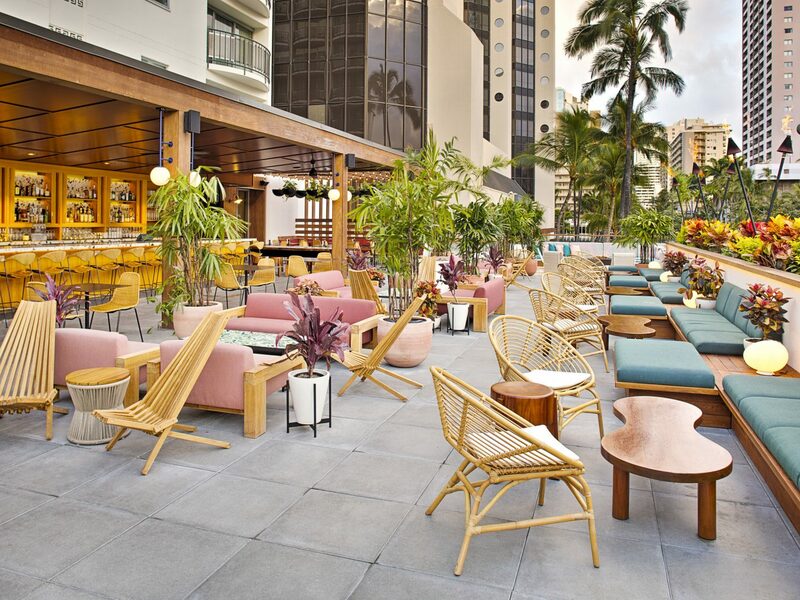 While colonial touches, like coffered ceilings and stout white columns, lend a regal air, the museum-caliber Hawaiian art collection, rattan chairs, potted greenery, and floor-to-ceiling views of the pool and ocean beyond remind guests that they’re on a remote tropical island—and that casual beach attire is encouraged. 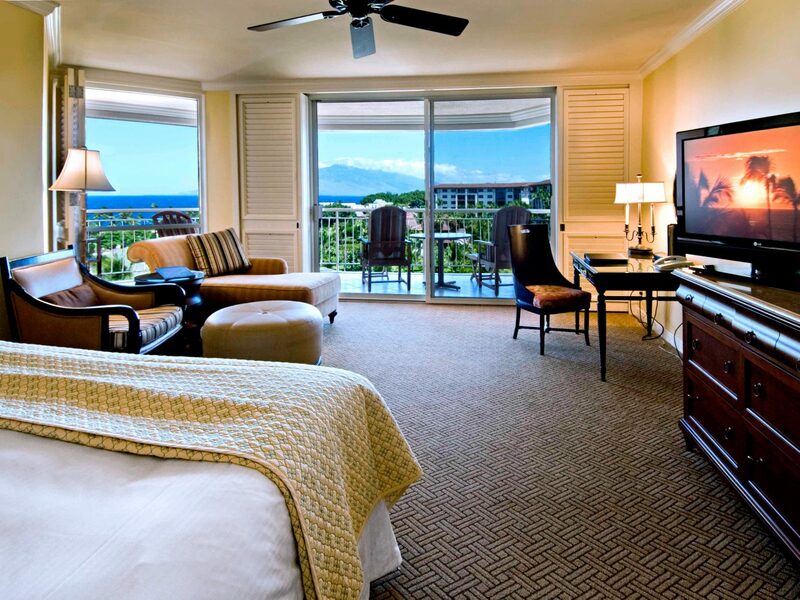 There’s lots of space to spread out in the 380 rooms and suites, most of which offer at least partial ocean views. 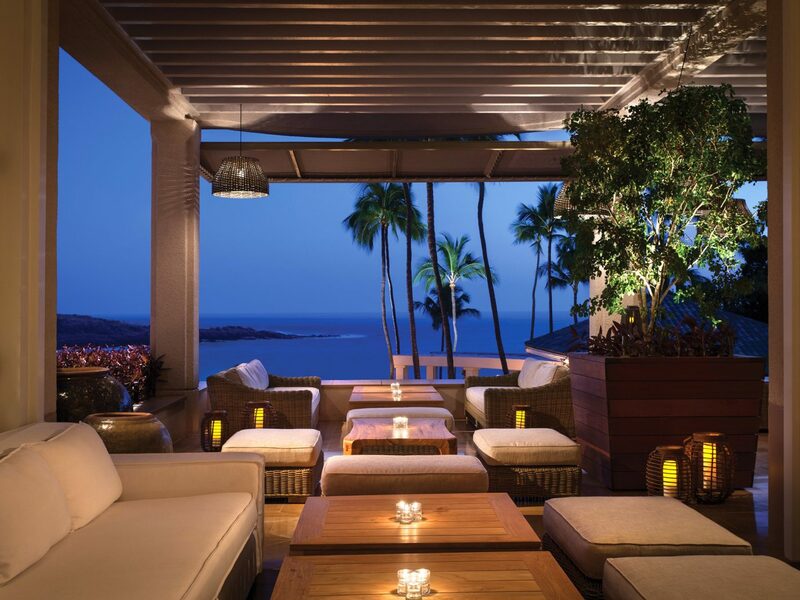 All three of the hotel’s restaurants are first-rate, including Hawaii’s only outpost of Wolfgang Puck’s Spago and a casual open-air Italian restaurant, Ferraro’s, where guests balance glasses of prosecco while watching the sunset. 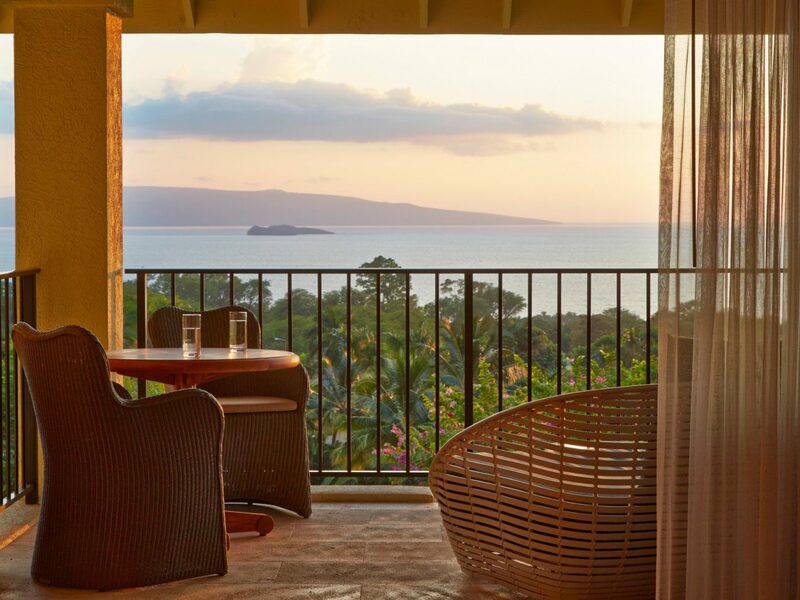 Cap off an afternoon spent on one of Wailea’s three golf courses (or hitting the high-end boutiques at the Shops at Wailea) with a signature lomi mohala massage in a thatch-roof hale (hut) overlooking the sea. 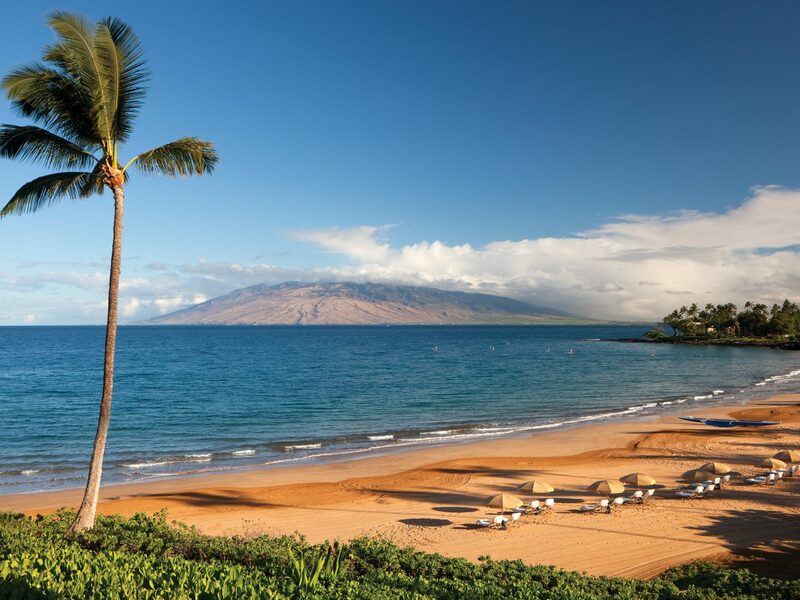 This 40-acre behemoth matches the beauty of its Wailea Beach address with pure extravagance—we’re talking 832 rooms, nine free-form pools, three golf courses, 11 tennis courts, a massive fitness center, a sprawling spa, five restaurants, and four hot bars. 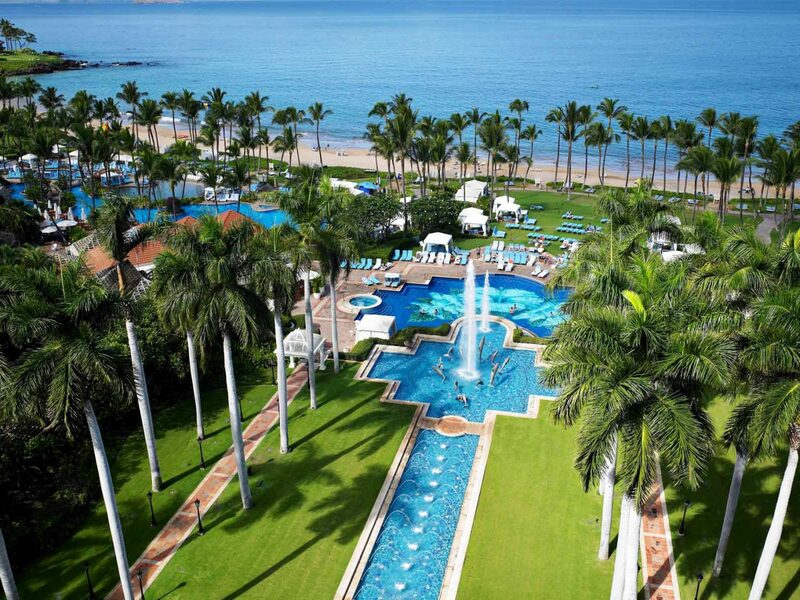 Groups flock here for the diversity of fun, from private golf lessons to lava rock massages to a Tarzan rope swing over the pool. 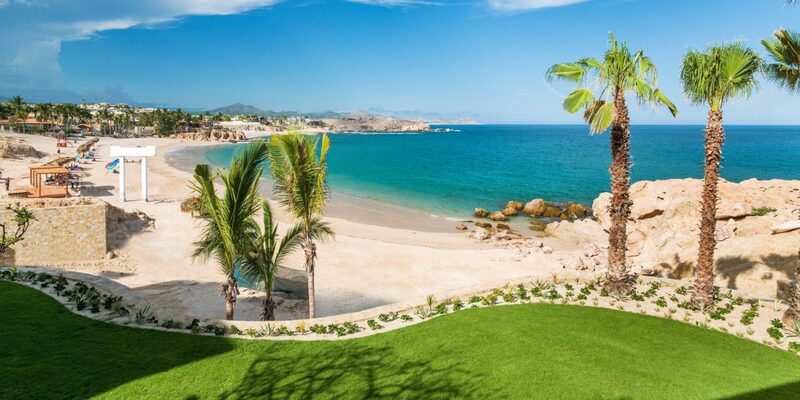 It’s also a no-brainer for honeymooners, who make a beeline for the bath salt hot tubs and couples’ treatments at Spa Grande, luxurious beach- and poolside cabanas, and award-winning cuisine. Celebrating a special occasion? 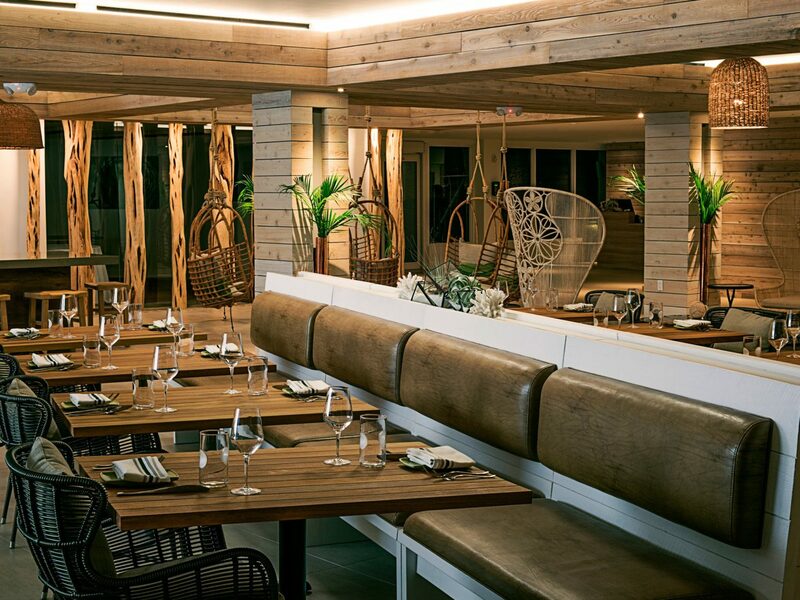 Reserve a table at the more formal Humuhumunukunukuapua’a, a gorgeous open-air restaurant floating on a tiki torch-lit lagoon where 2016 Maui Chef of the Year Michael Lofaro prepares sublime takes on seasonal Hawaiian cuisine. 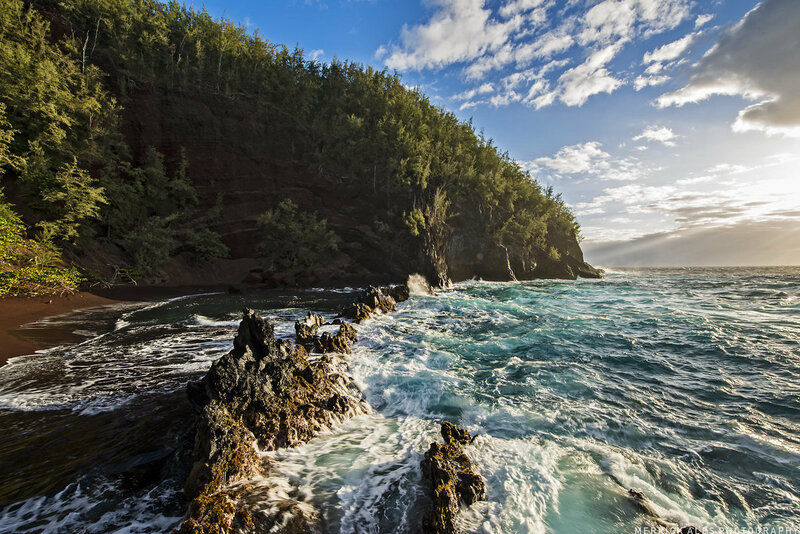 There’s little competition when it comes to where to stay in Hana, a hushed, undisturbed town on Maui’s eastern coast—but Travaasa Hana still manages to outshine many of the island’s other resorts. 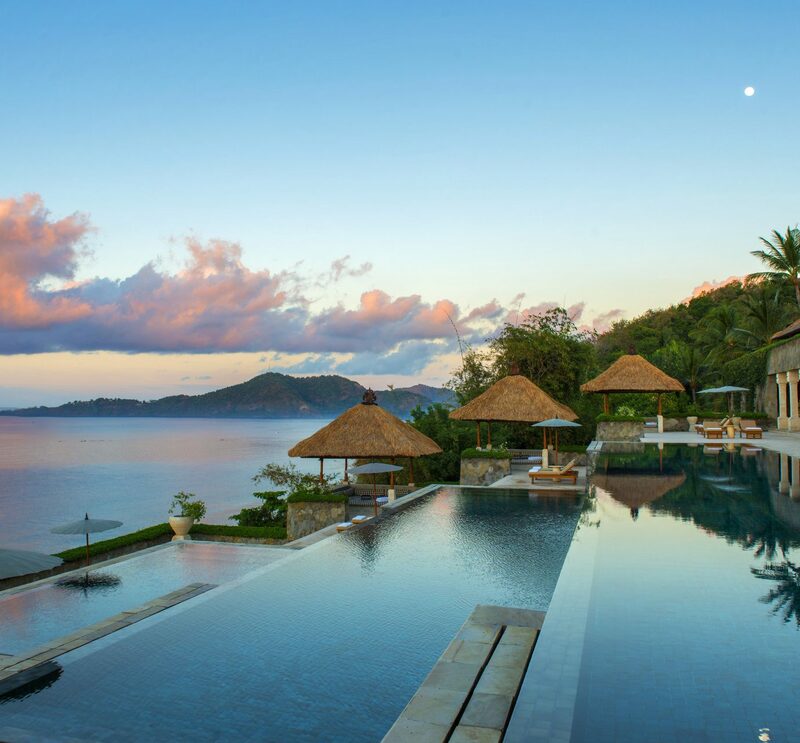 For some, this is the epitome of island living: 70 cottages and suites (recently remodeled to the tune of $12 million) are void of radios, clocks, and TVs, where your stay is custom tailored to meet your needs—be it all-inclusive or à la carte, with activities that cater to foodies, fitness fiends, adventurers, wellness gurus, or culture hounds. 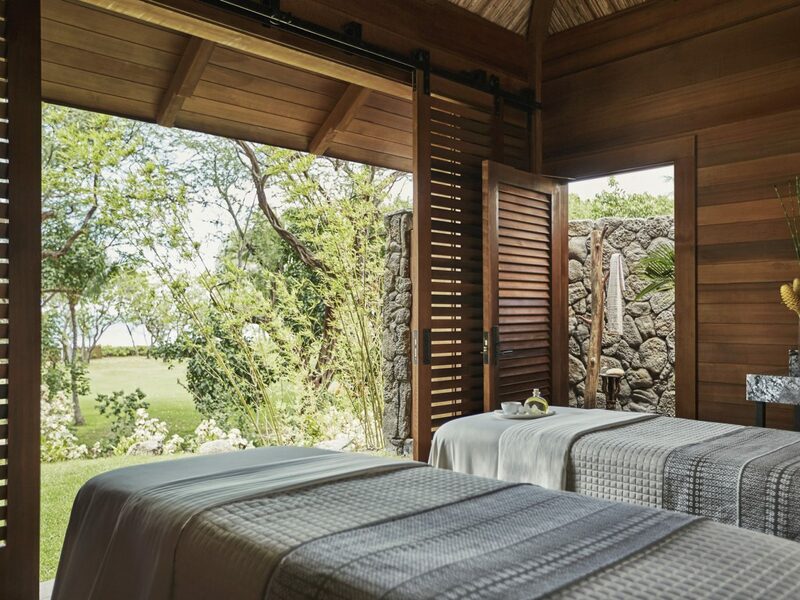 At the gorgeous spa, traditional Hawaiian massages are the order of the day; if you’re traveling with a partner, we highly recommend the two-hour Hana Couples Escape. 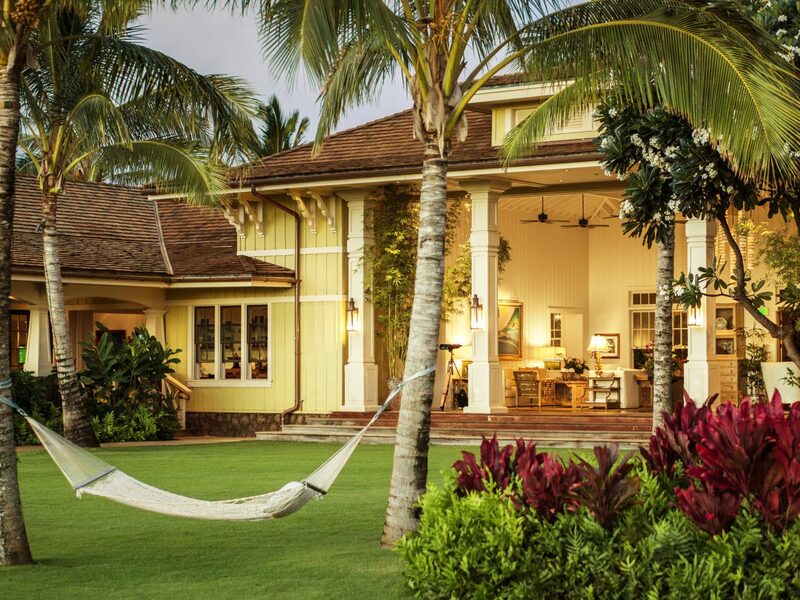 This restored 1909 upcountry estate turned educational wellness retreat is a real escape for the soul: there are 24 rooms in plantation-style buildings surrounded by organic gardens and lush lawns, an open-air lounge punctuated by swinging rope hammocks, an elaborate labyrinth, and a meditation lawn overseen by a stone Buddha. Other perks we love: yoga classes, musical performances, and sustainable dinners with ingredients from Lumeria’s own gardens. 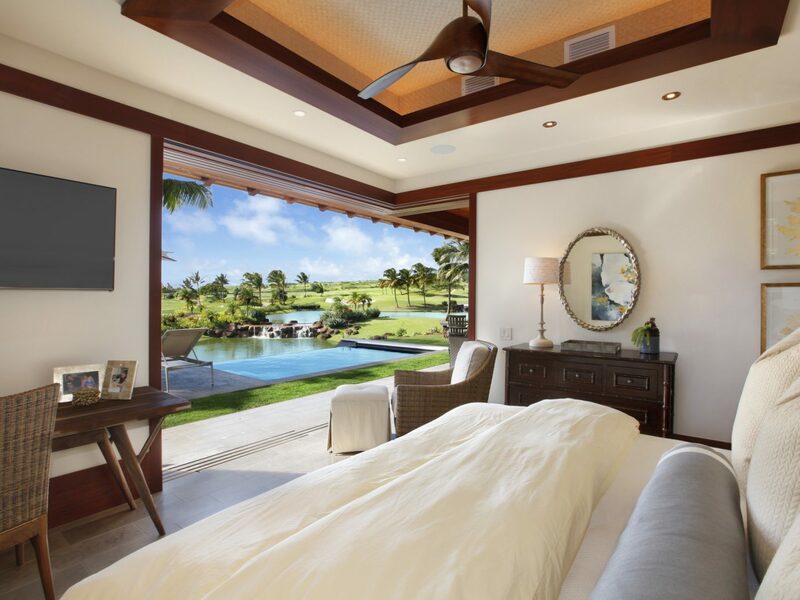 Kukui’ula, a 1,000-acre South Shore resort community known for its award-winning Tom Weiskopf-designed golf course, has finally opened a “lodge” for non-members—yet this collection of villas and bungalows feels just as private. 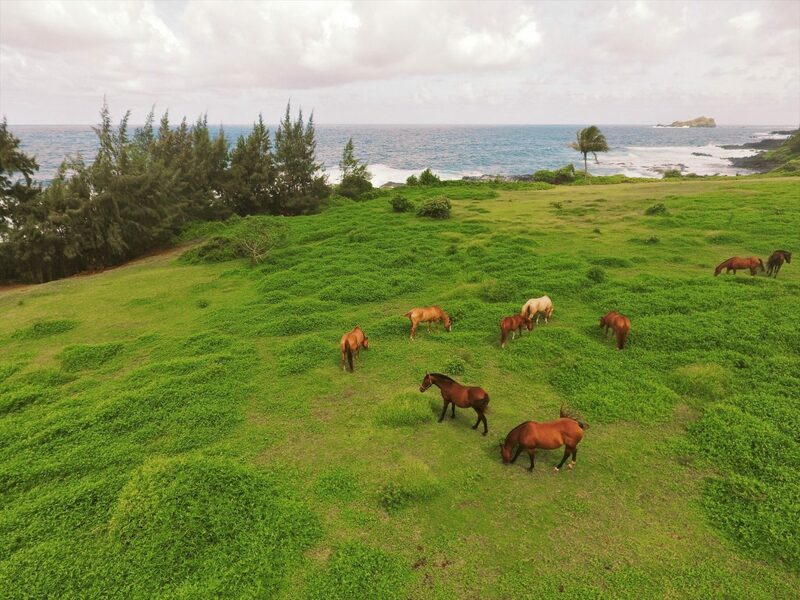 Those with a penchant for extra space will love the two- and three-bedroom cottages, styled after plantations homes but with all the modern creature comforts (gourmet kitchens, vaulted ceilings, covered lanais, outdoor fire pits) you’d expect. 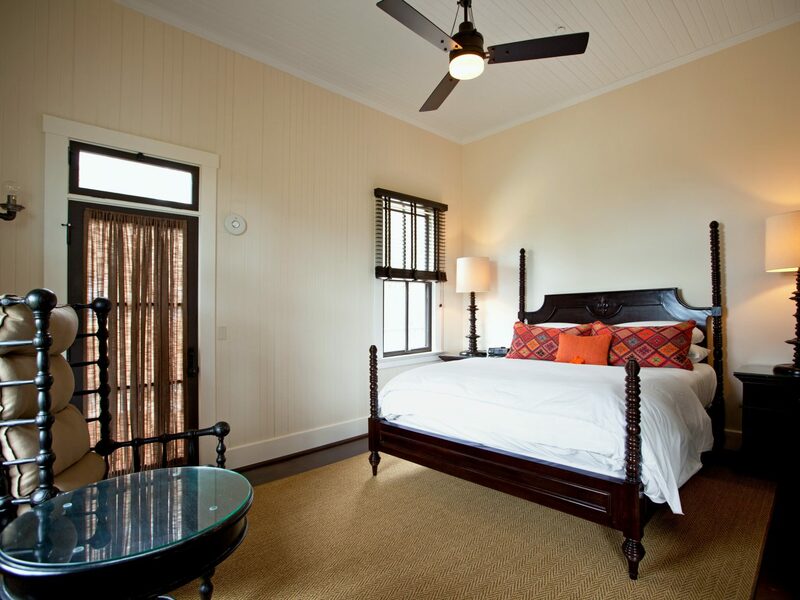 Guests also get access to the Plantation House (a center for dining, drinking, games, and pool), the 18,000-square-foot spa, and the communal farm. 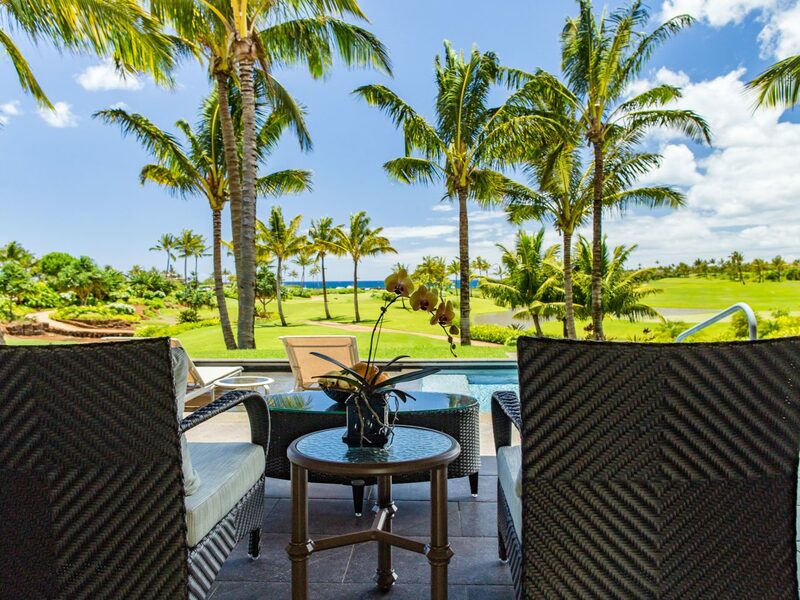 When it comes to accommodating big groups (or just maxing out space for two), few properties do better than Koloa Landing Resort, home to Kauai’s largest villas complete with gourmet kitchens and spectacular ocean views. 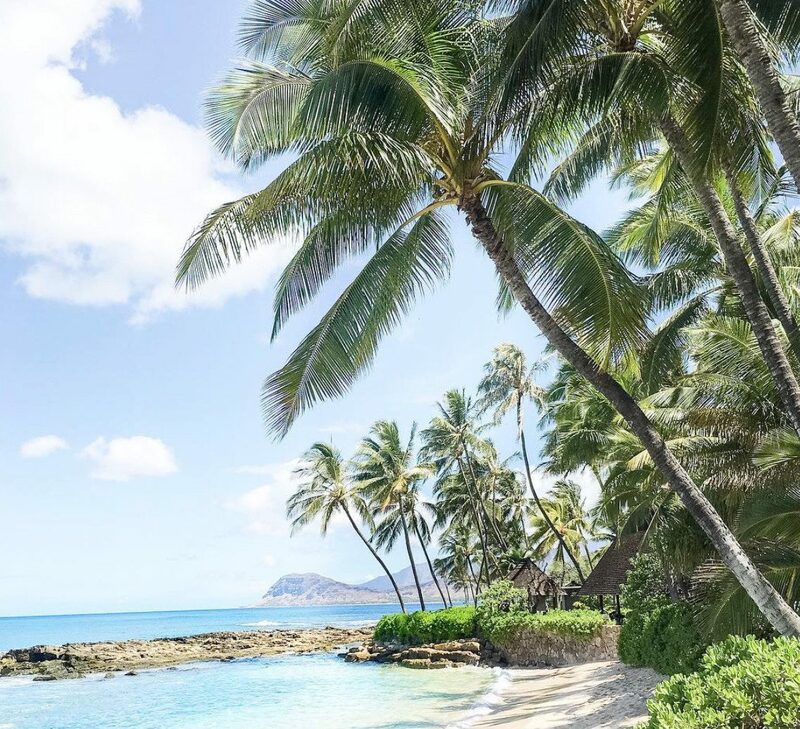 There’s something here for everyone, including a family-style lagoon pool and a secluded adults-only oasis—both with Jacuzzis, fire pits, and poolside barbecues. 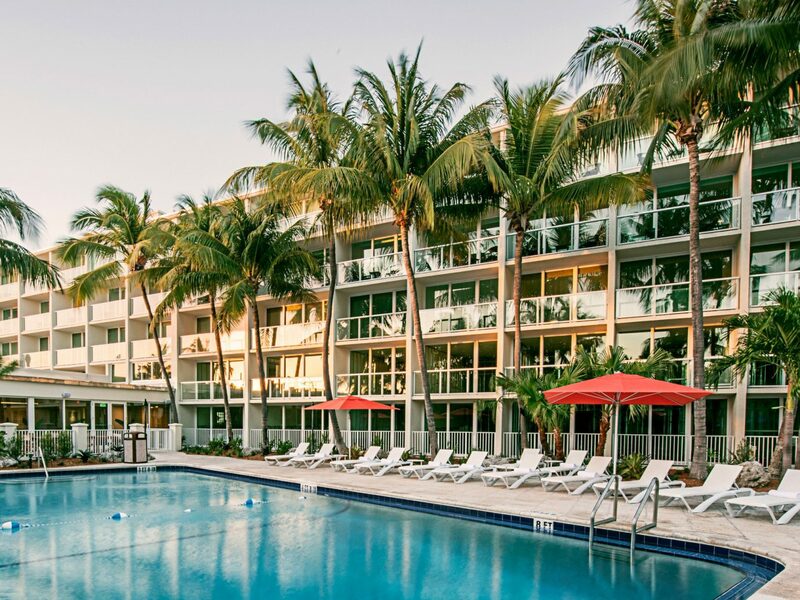 A $100 million expansion in 2017 introduced 200 additional residences (including studios), a poolside bar and grill, and a new lagoon pool with waterslides and cabanas. 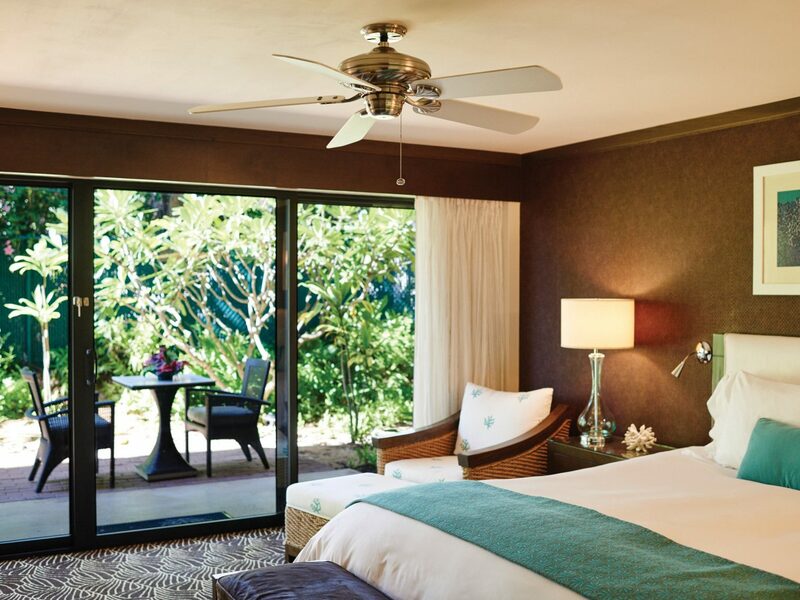 On the grounds of the old Po’ipu Beach Hotel, this modern boutique hotel brings the beauty of the outdoors inside. 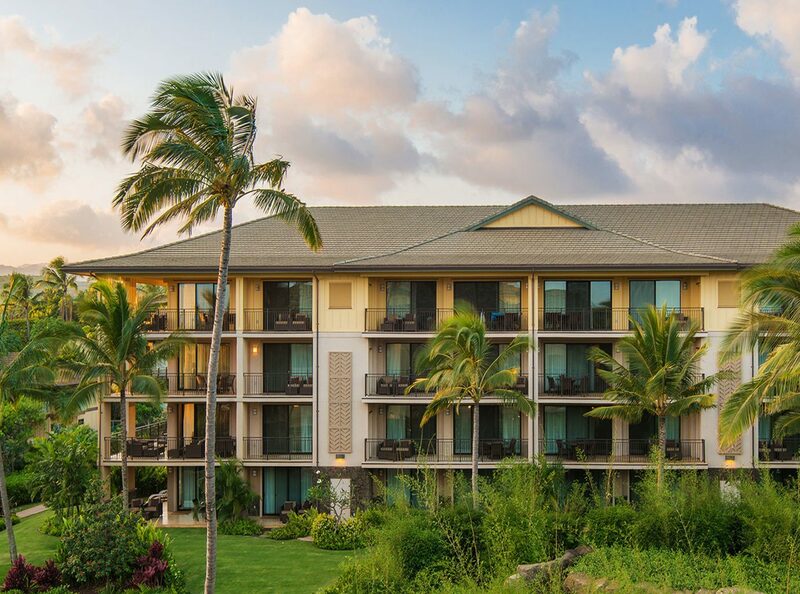 Everywhere from the lobby to the restaurant features elegant but simple island décor, shimmering chandeliers, and fresh flowers that echo its manicured grounds. 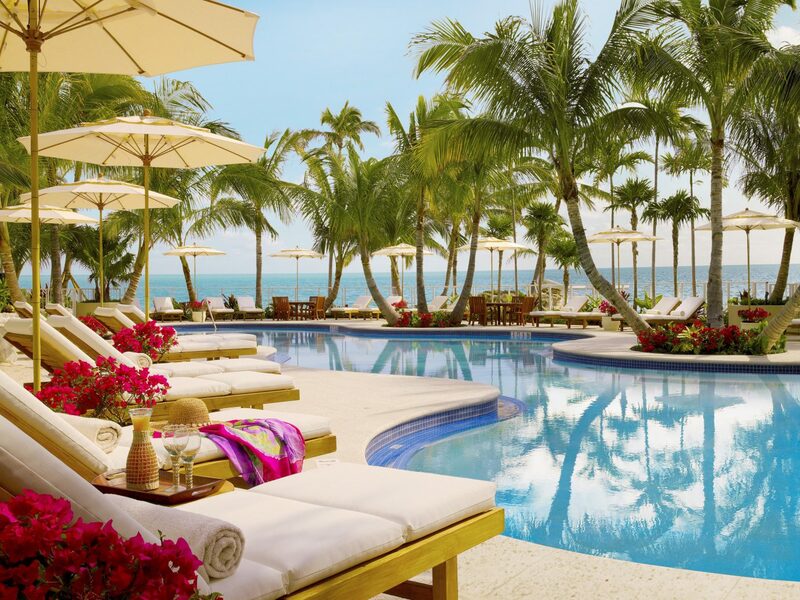 Guest rooms and suites emanate simple luxury with soft, featherbed mattresses, slick bathrooms, and private balconies or terraces—though most coveted real estate is the palm-shaded lounge chairs surrounding the pool. 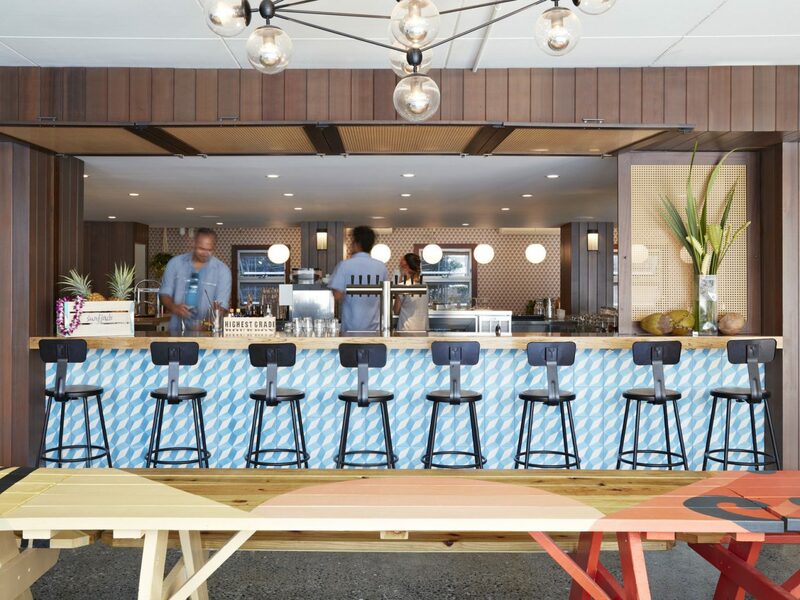 Even locals vie for seats at Red Salt, the window-lined, ocean-view restaurant serving breakfast and dinner. 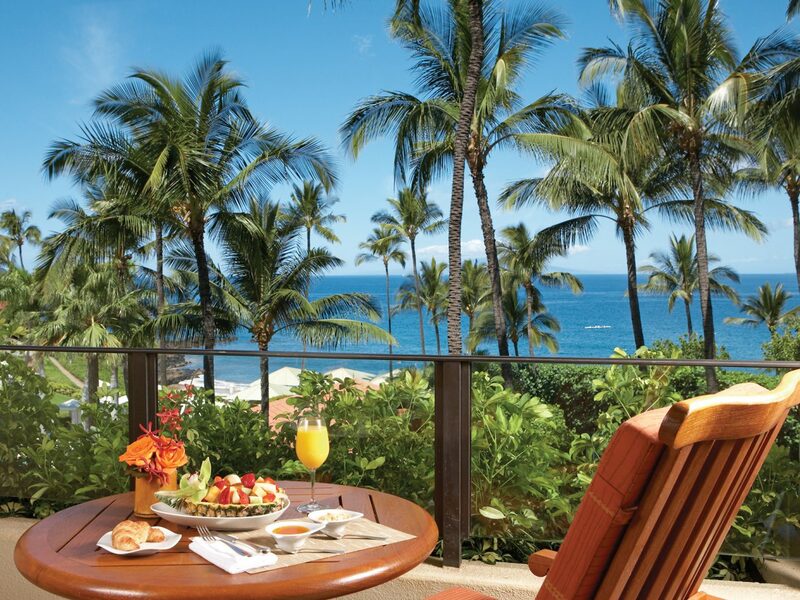 During breakfast, go for the lemon-pineapple soufflé pancakes; for dinner, expect seafood-centric fare like poke, pan-seared ono, and lobster ravioli. 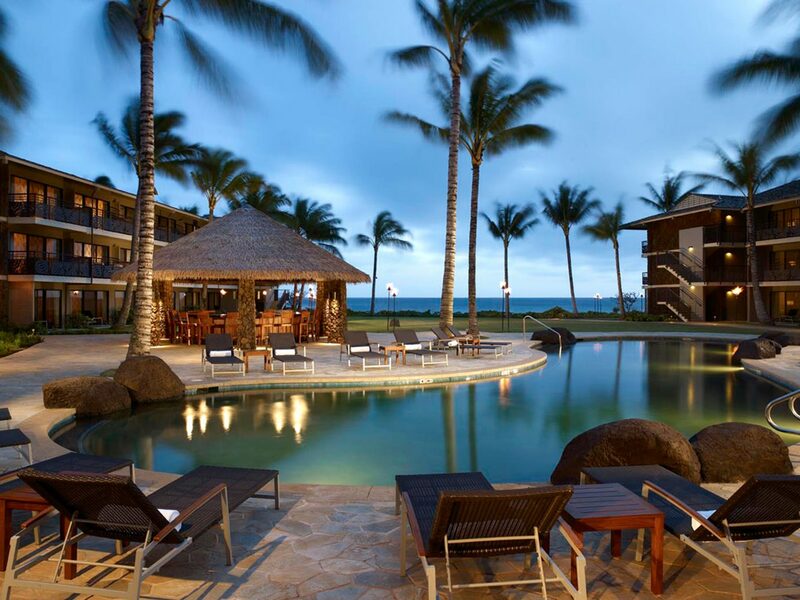 The Pool Bar and lounge mix a variety of cocktails, including classic Mai Tais, but the martini flight deserves serious consideration. 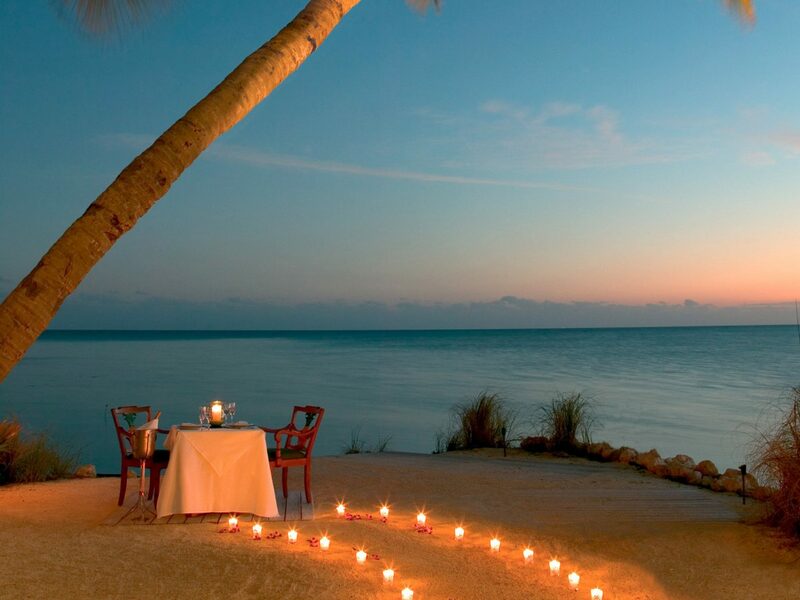 Planning something truly unique for your post-nuptial escape? 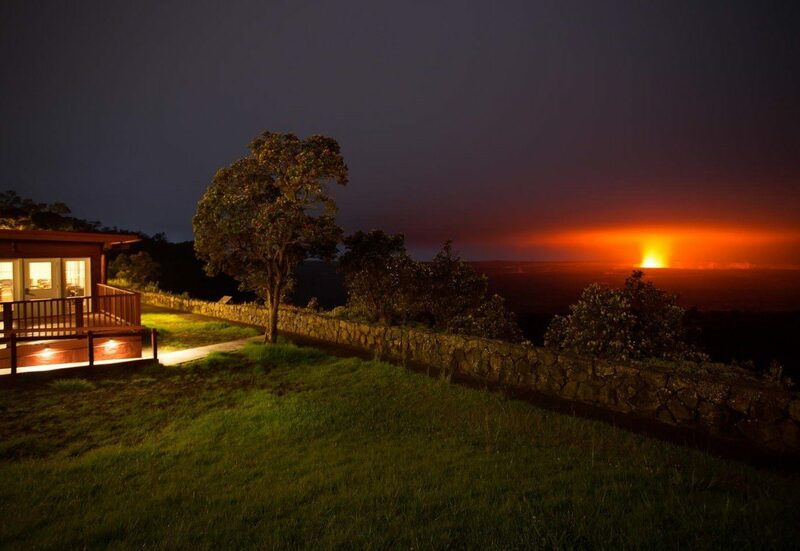 Few stays on Hawaii offer what the Volcano House does, which is unobstructed views of the bright, spewing lava that spits out of the Halema’uma’u Crater from its location on the Kilauea caldera rim. 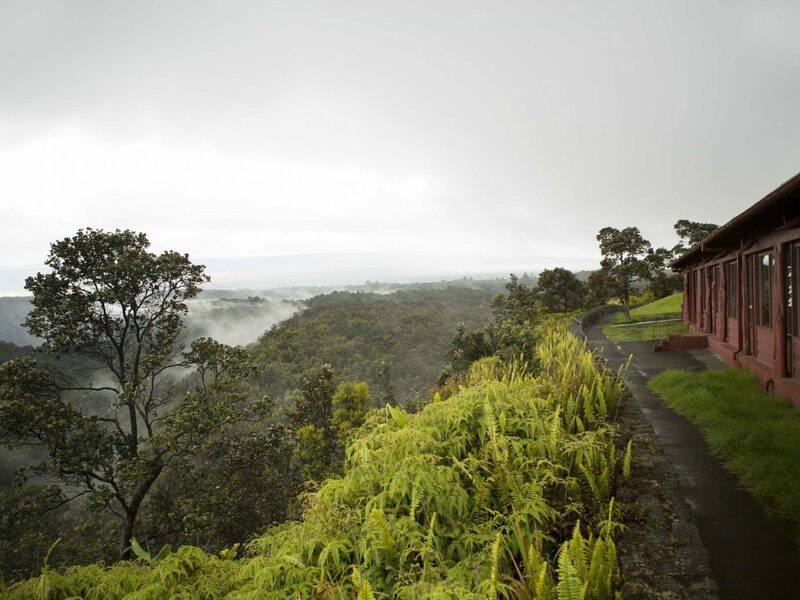 Volcano House is the only hotel inside Hawaii Volcanoes National Park and is the state’s oldest property (opened in 1846)—but the interiors were given a contemporary facelift in 2013. 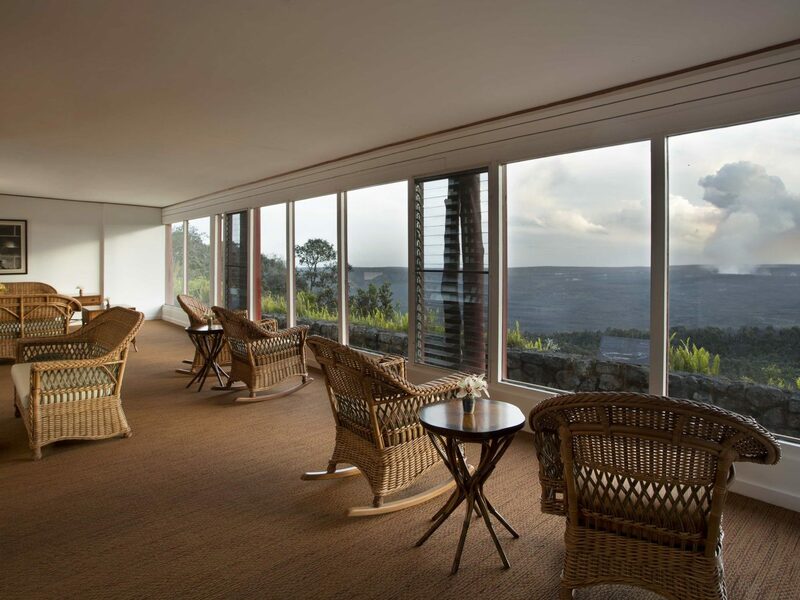 Don’t miss dinner at the hotel’s The Rim restaurant, with floor-t0-ceiling windows that look out onto the swoon-worthy vistas. 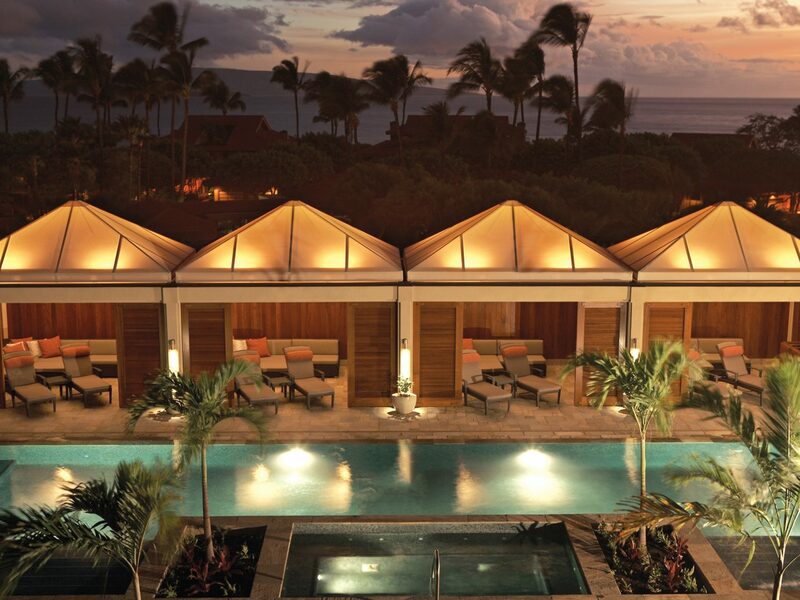 It might have just a single airport runway, but Hawaii’s quietest island is picking up energy thanks to the Four Seasons Resort Lanai. 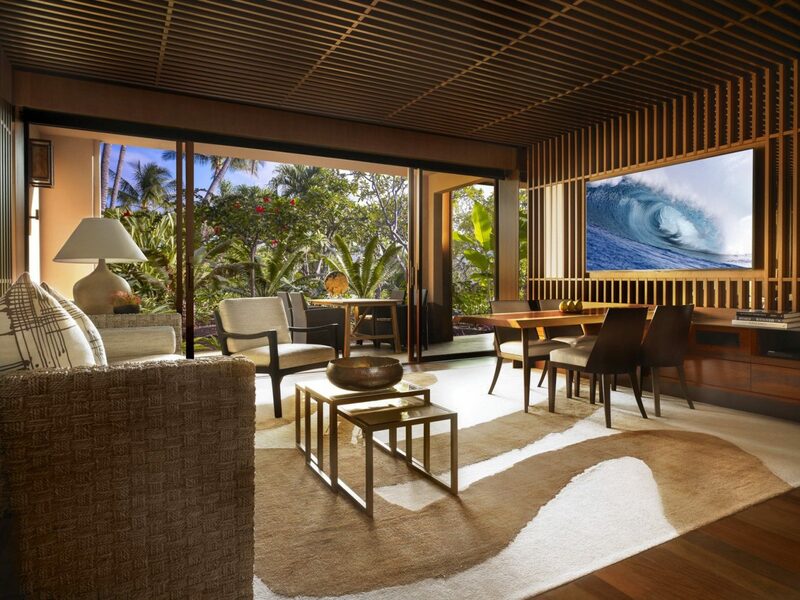 New owner Larry Ellison reimagined the resort’s former Balinese-inspired décor into something more contemporary, with 217 rooms done up in teak and zebra wood with hand-woven wool rugs and mahogany floors. 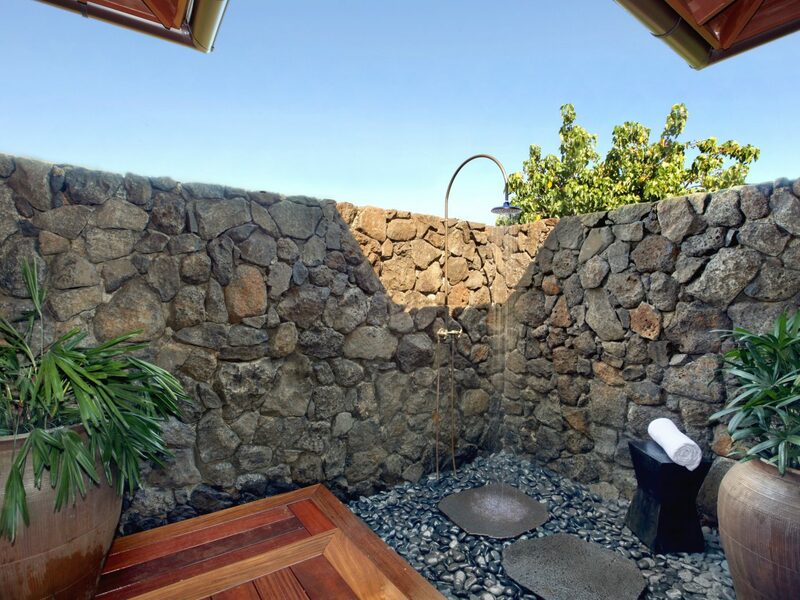 You’ll also find multiple bathrooms, wooden bathtubs (suites only), and open terraces that look out onto the gorgeous Hulolo’e Bay. 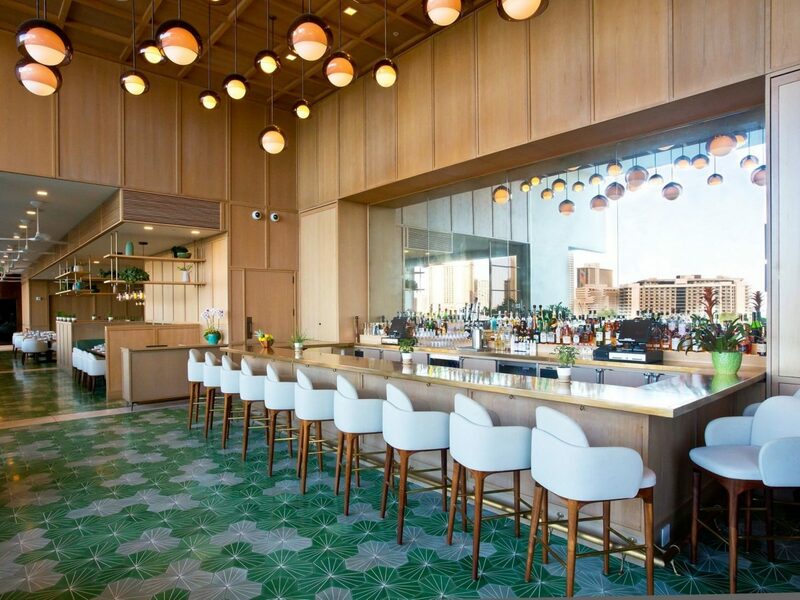 Ellison has brought in a few heavy hitters including cult chef Nobu Matsuhisa, who oversees one of the restaurants, and a guests-only golf course even amateurs will want to work into their schedule. 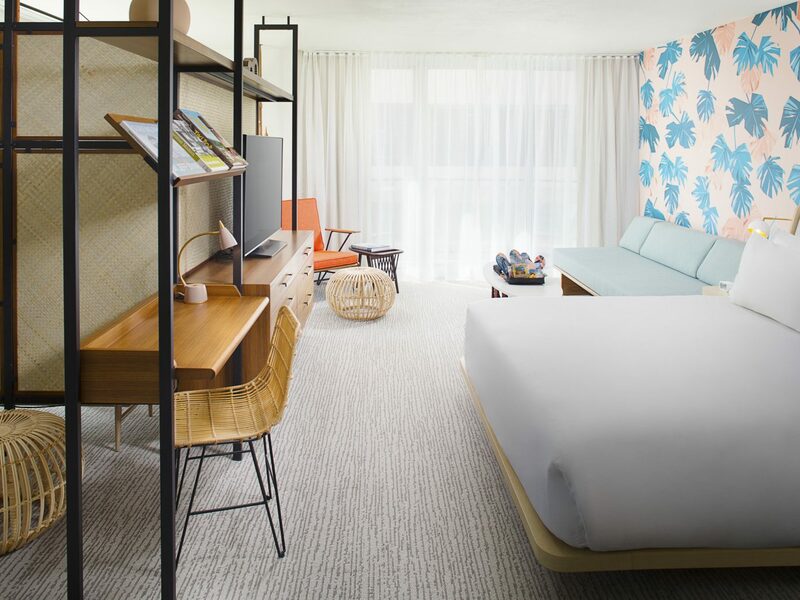 This buzzy boutique minutes from Waikiki Beach has ’60s surf-chic down pat. 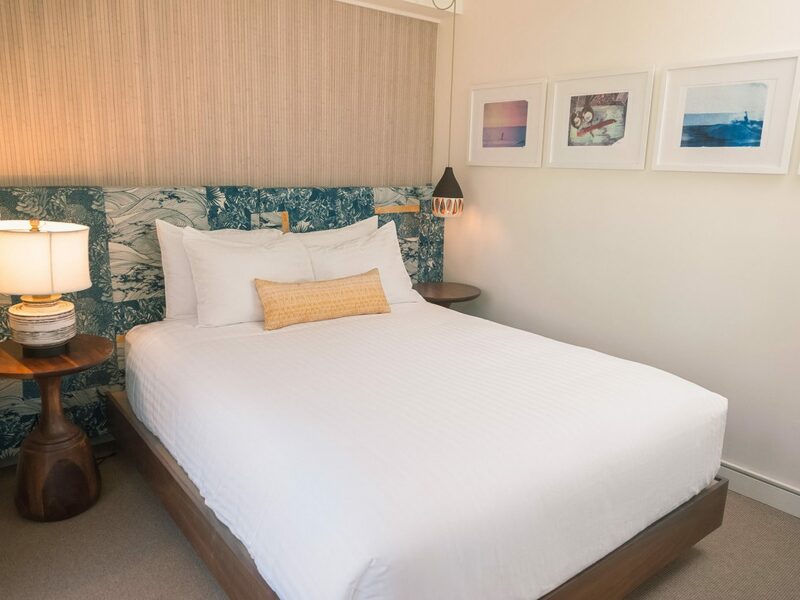 The lobby greets guests with beach scenes by native photographer Mark Kushimi and a living fern installation, while L.A.-based Studio Collection modeled the 112 rooms after beach bungalows found on the north shore: batten walls are hung with surf prints and old postcards while beds feature colorful Tori Richard fabric headboards. 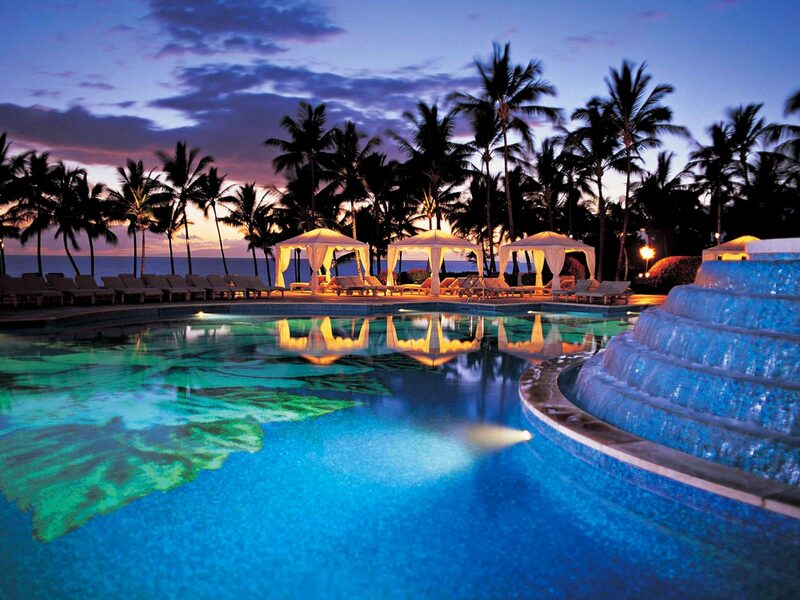 Everyone is up-talking the pool, which has a “wish you were here"-inscribed mosaic floor. 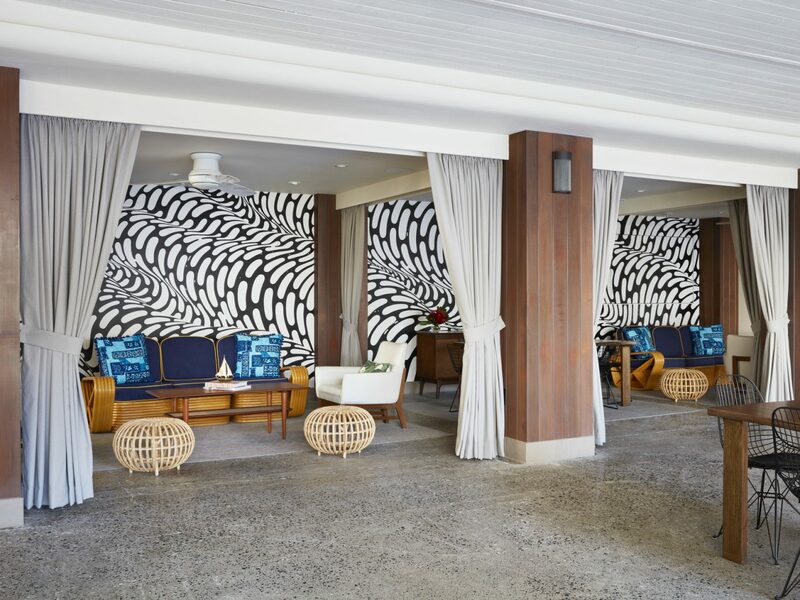 The real conversation, however, revolves around Mahina & Sun’s, the on-site restaurant covered in Andrew Mau shaka wallpaper that’s led by chef Ed Kenney. 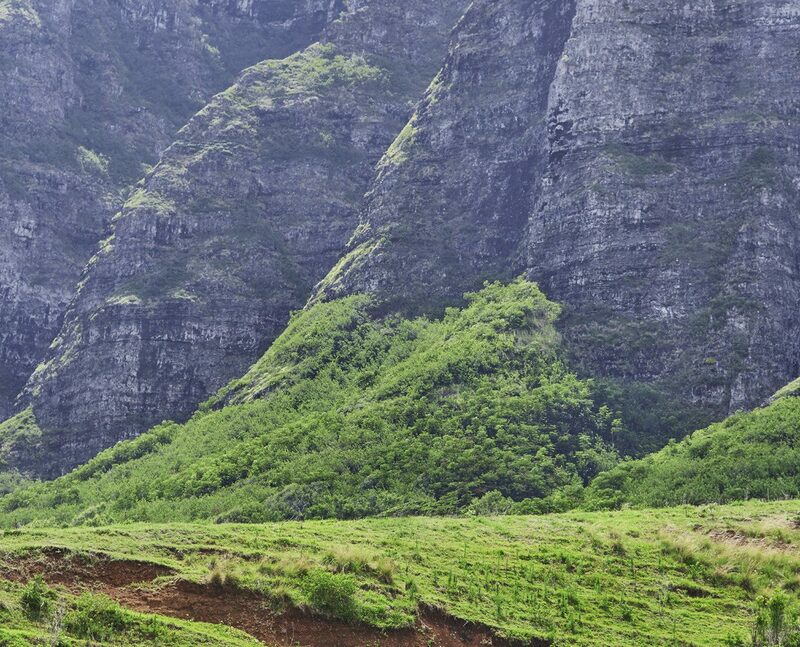 Order the Kualoa Ranch oysters and marlin poke with pickled mushroom. 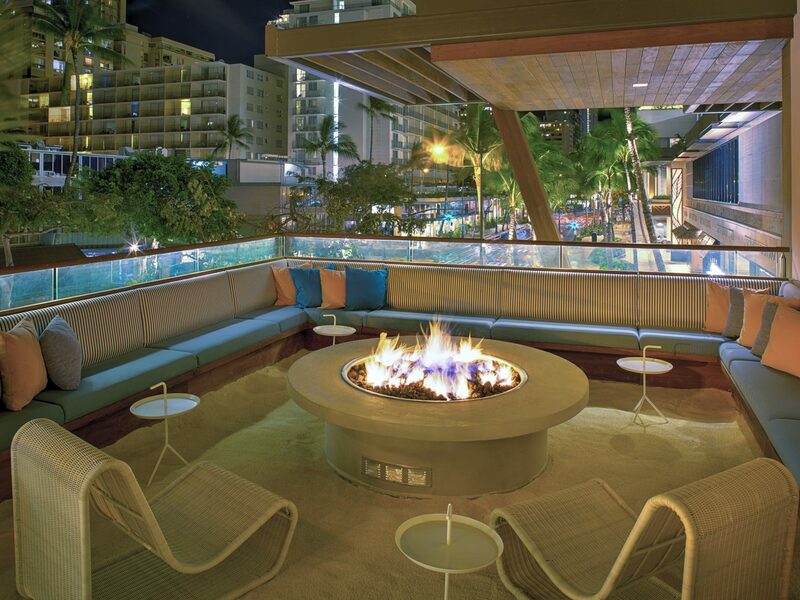 After a three-year wait, Waikiki’s newest luxury high-rise is finally open to the public. 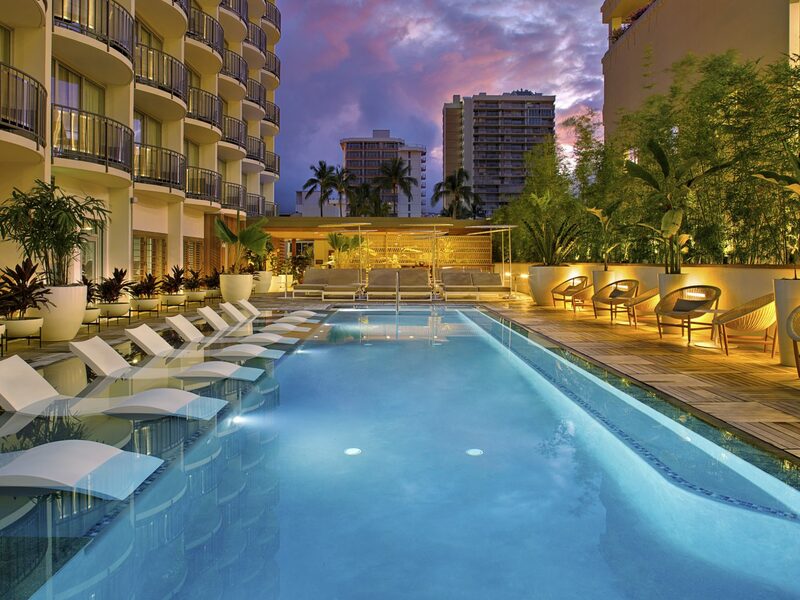 The 28-story tower embraces a contemporary “island-deco” vibe, where 307 residences (from studios to three bedrooms) face the beach’s west end. 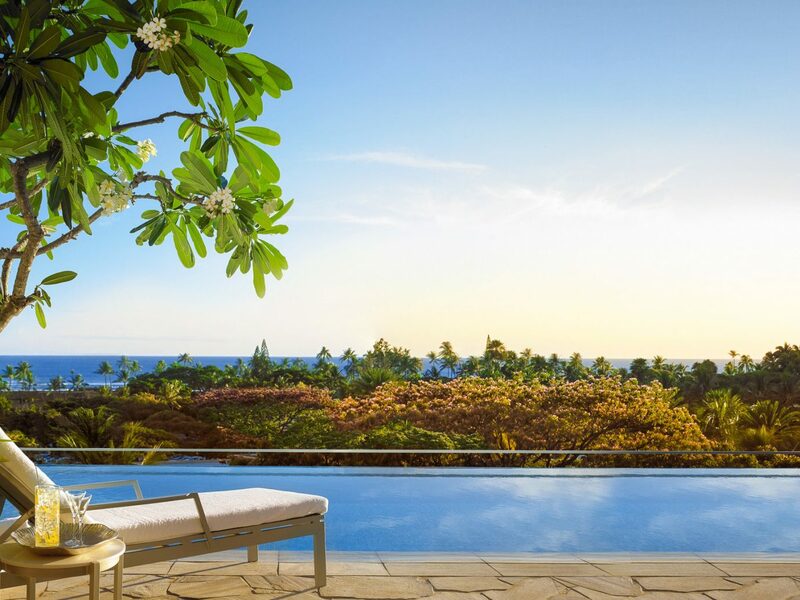 This is a Ritz-Carlton, so expect a few indulgent perks including the first Hawaii outpost of gourmet market Dean & Deluca, an 8th-floor infinity pool (the city’s highest), and a serene spa. 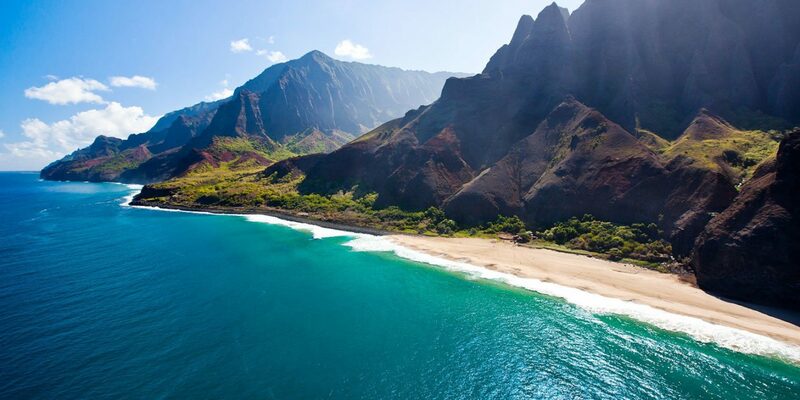 This property requires a two-night minimum stay, but who flies to Hawaii for just one night? 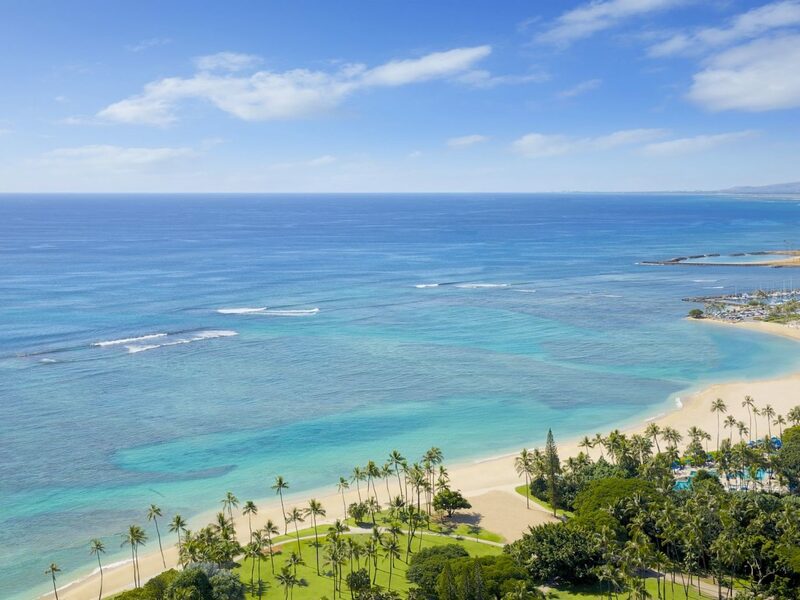 On Oahu’s west coast, the rebranded Four Seasons doled out a whopping $500 million to rethink the former JW Marriott floor plan and bring in those didn’t-know-you-couldn’t-live-without-em extras including a 75-foot yacht, a helicopter, and a fleet of BMW convertibles. 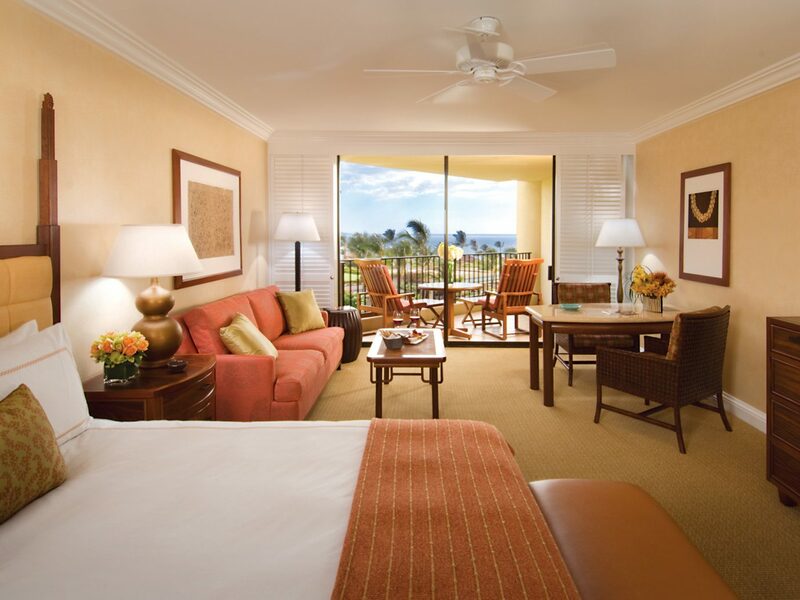 The 371 newly spacious, brightly lit rooms and suites are sophisticated visions of Hawaiiana—banana-leaf wall coverings, lanais—while fun-filled afternoons can involve any combination of the property’s four pools, five restaurants, golf club, and spa (which comes with a lap pool of its own). 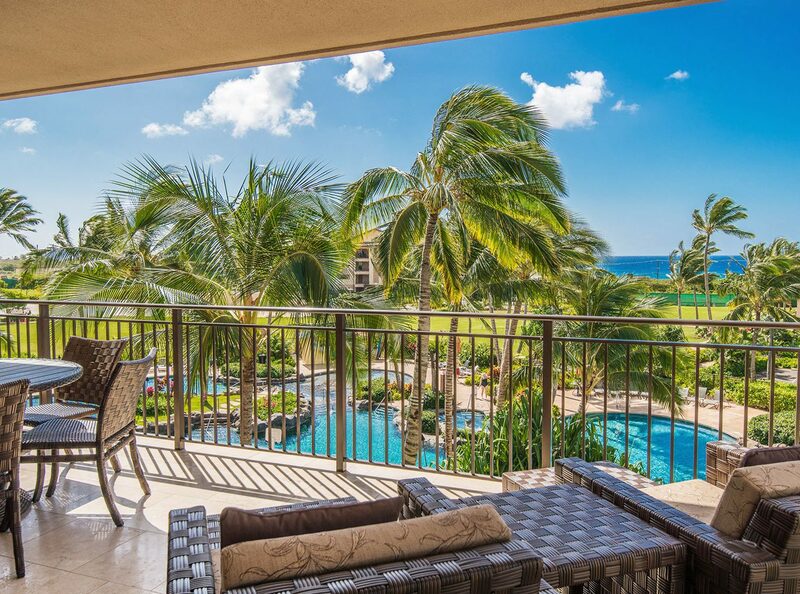 ‘Ko olina, in Hawaiian, means “place of joy.” Couples are sure to find it here. 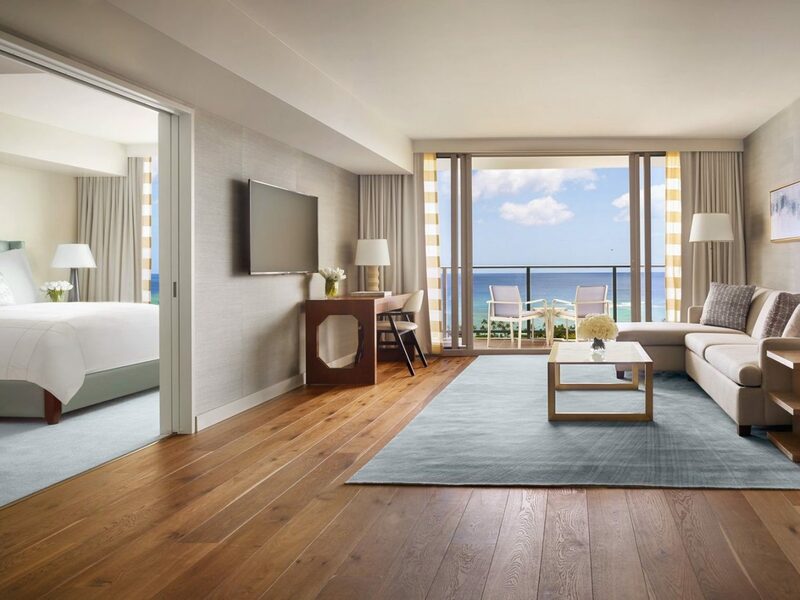 Perched above the heart of Waikiki, this 251-room urban oasis features modern design and handpicked period accessories that tell a captivating story of Hawaii’s melting pot of cultures and mid-century Honolulu. 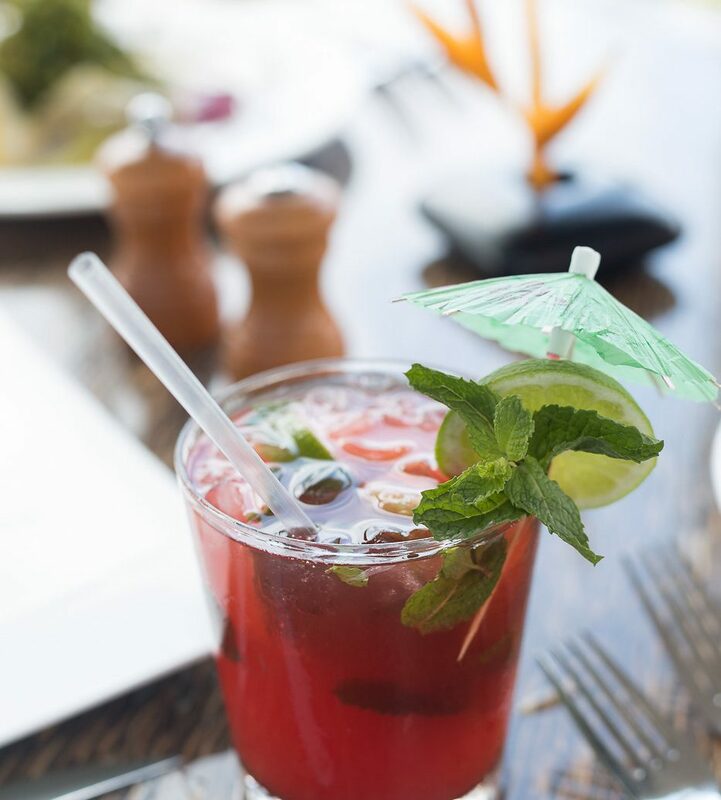 Executive Chef Bryan Byard, of Laylow Waikiki’s signature restaurant, Hideout, crisscrossed the islands to source the freshest ingredients from the ocean and local farms for the restaurant’s reimagined Pacific Rim classics. 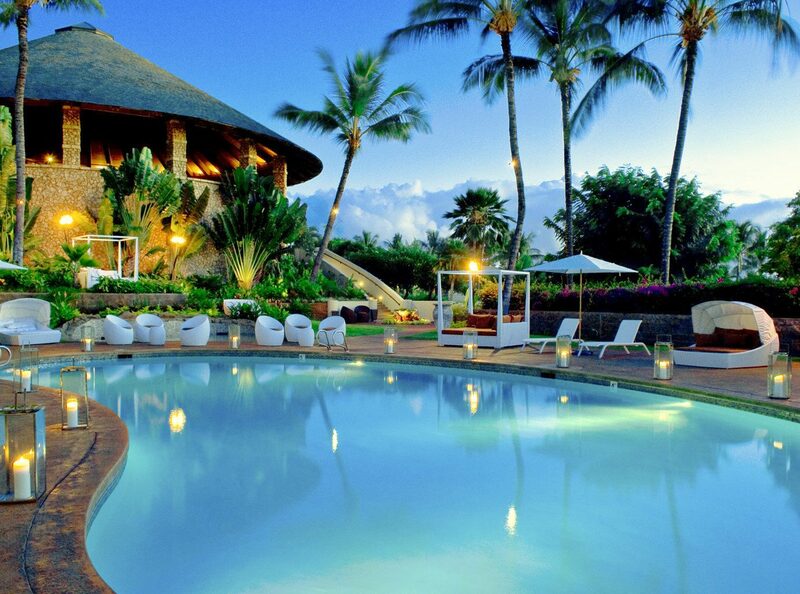 Just steps away from Hideout, lush bamboo and tropical foliage border the tension-edged pool encased in a deck of Ipe, a Brazilian hardwood. 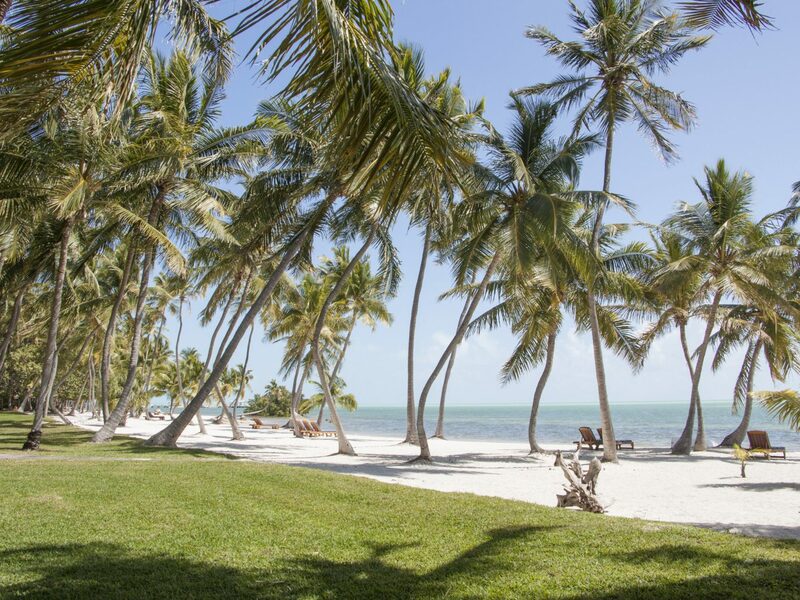 You could days just relaxing on this Islamorada-based oceanside sanctuary’s private beach, but the scene indoors is every bit as lovely. 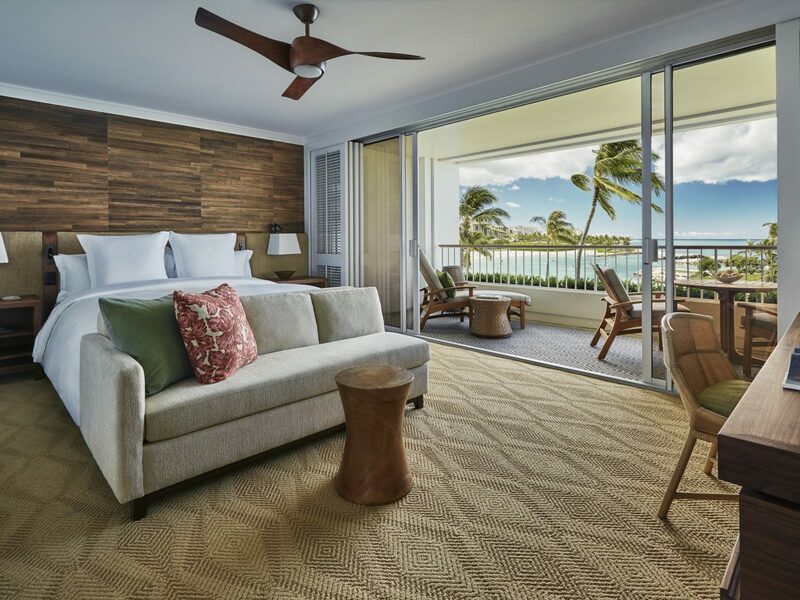 The recently renovated common areas and seafood-centric Oltremare Ristorante are decorated with vibrant tropical colors, while all 110 rooms feature cool earth tones, rattan chairs, and sweeping Atlantic views. 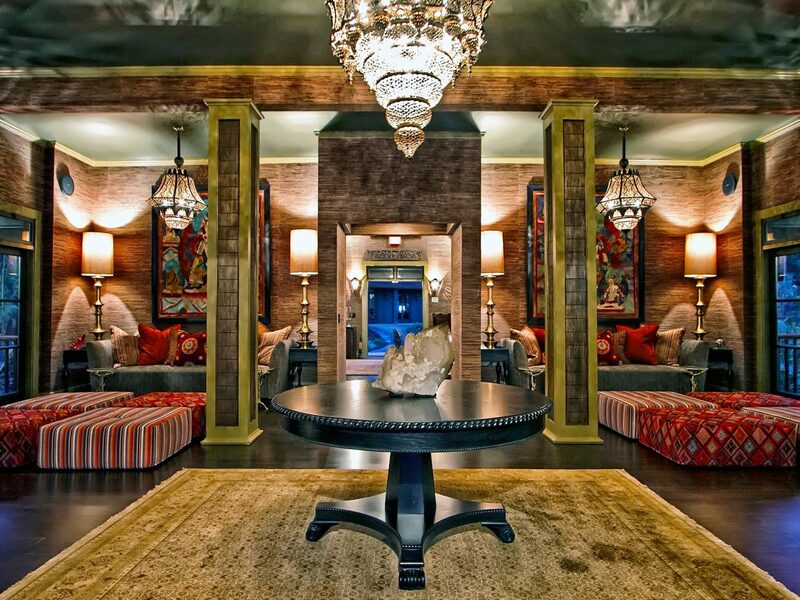 Don’t miss the hotel’s Sparrows Rum Bar, which is known for fresh fish tacos and a killer key lime pie. 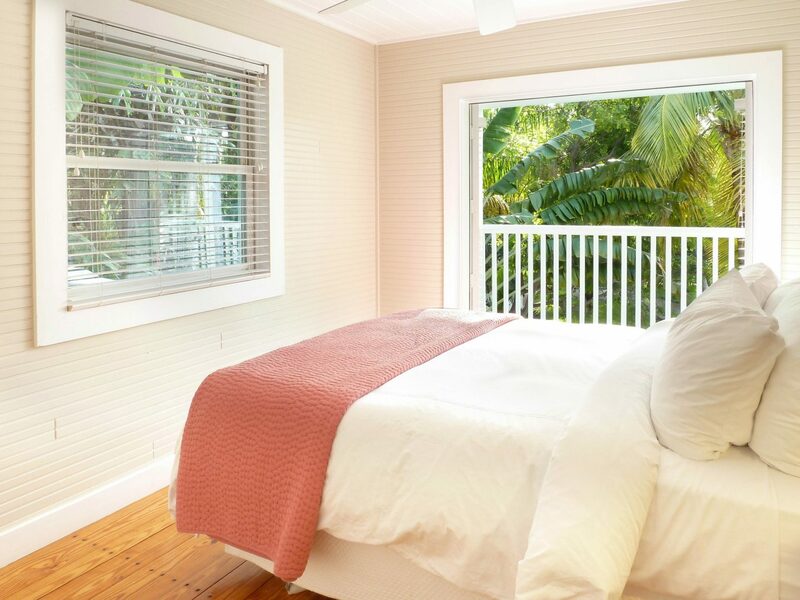 Live out your castaway fantasy at this romantic retreat, located halfway between Marathon and Key West on Little Torch Key and accessible only by seaplane or boat. 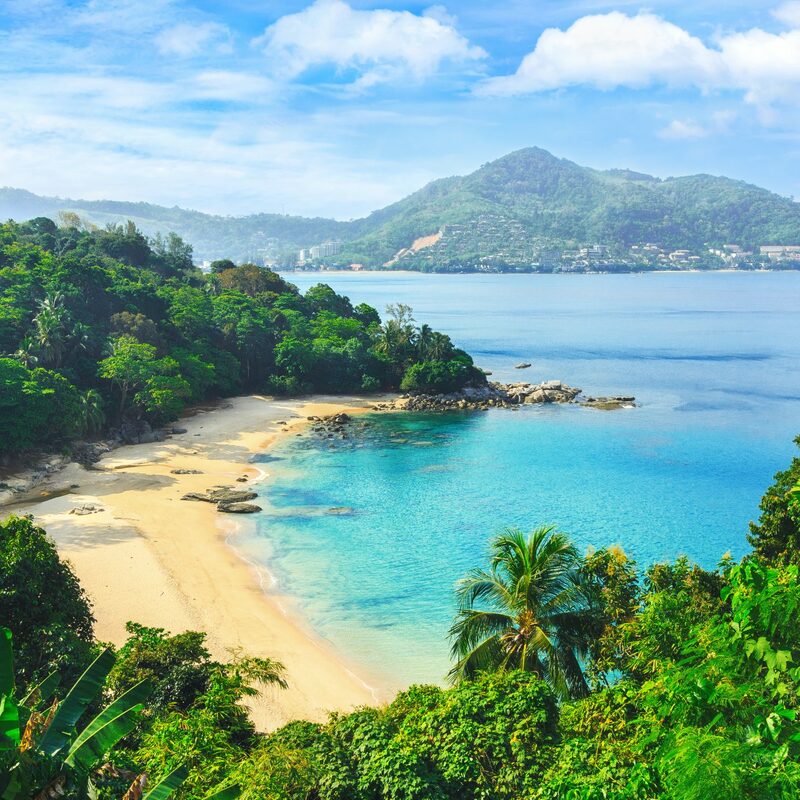 Guests hop aboard the resort’s yacht to reach the five-and-a-half-acre private island, where 30 thatched-roof bungalows, mosquito net-canopied king beds, and a strict no-phone/no-television policy ensure you’ll end your honeymoon completely recharged. 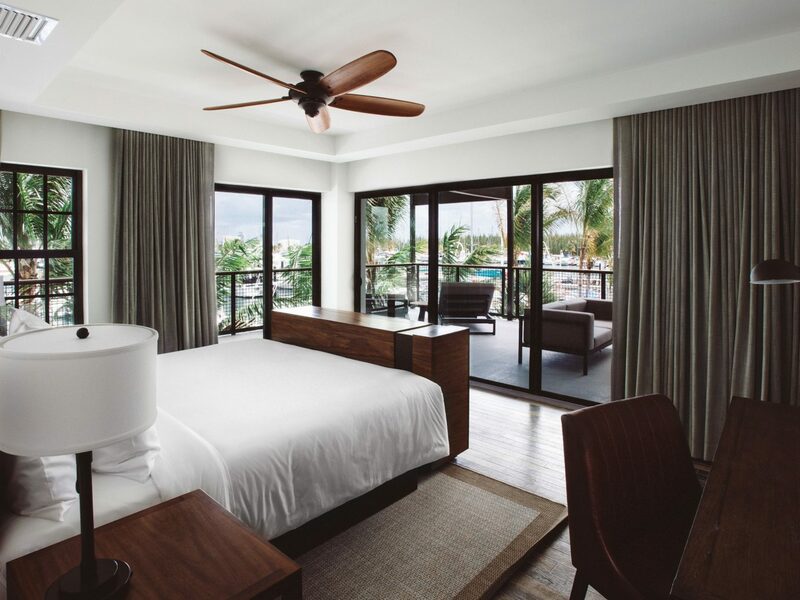 This Stock Island newcomer, the latest to hit Key West, is a swift departure from Florida’s typical beachy sleeps. 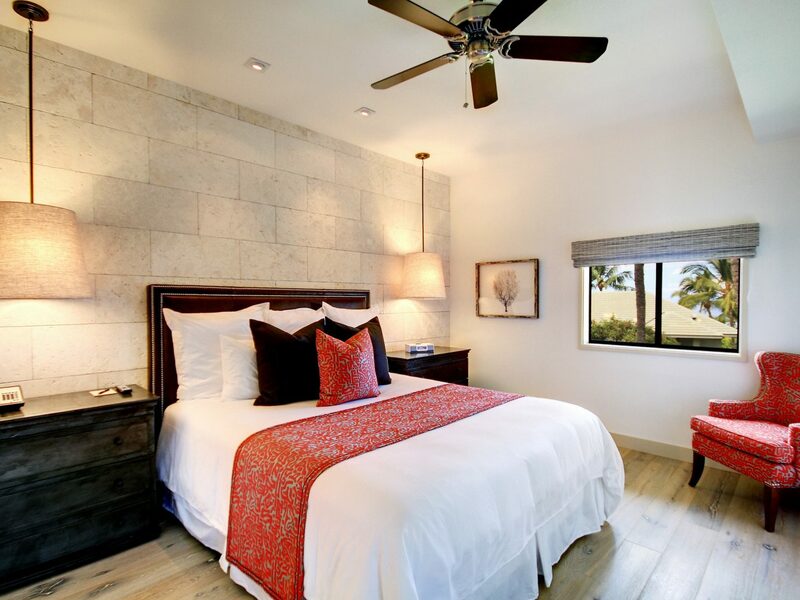 The sleek, contemporary look—all natural wood floors and stone gray and white walls—sets the backdrop for towering abstract artworks by local talents. 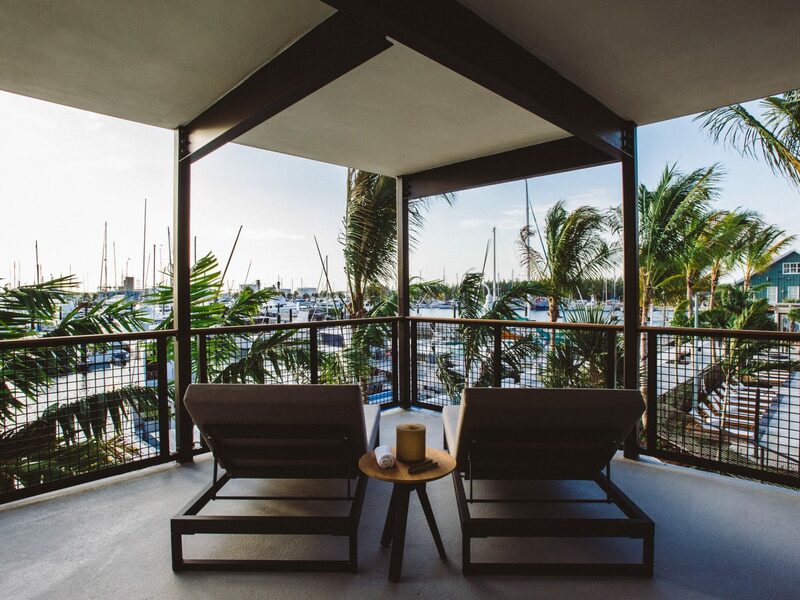 The horseshoe-shaped setting on a private 220-slip marina means water views from every terrace of the hotel’s 100 rooms, as well as views of the central pool. 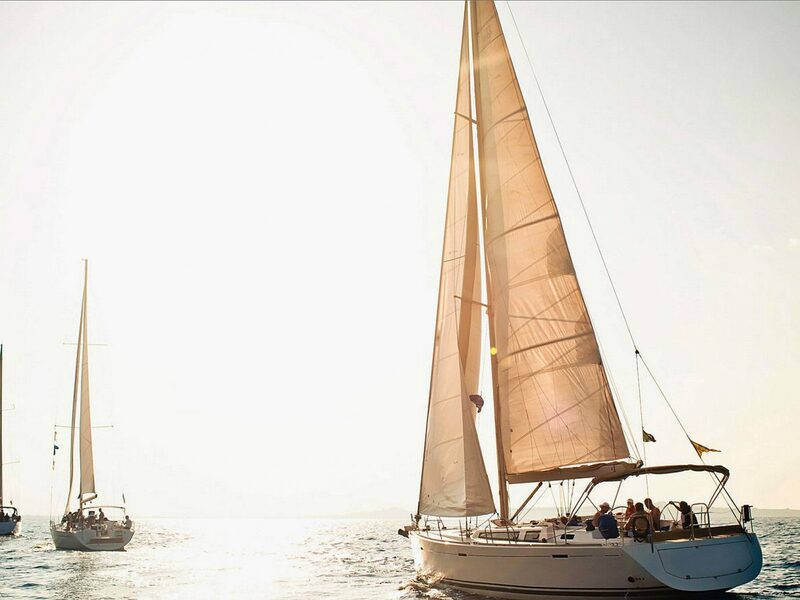 A free shuttle is on hand to whisk guests downtown, but there’s more than enough here to entertain, including an oyster bar, an art gallery featuring rotating installations, a "boat-to-table" restaurant serving local specialities like stone crab and Key West pink shrimp, and even an onsite distillery. 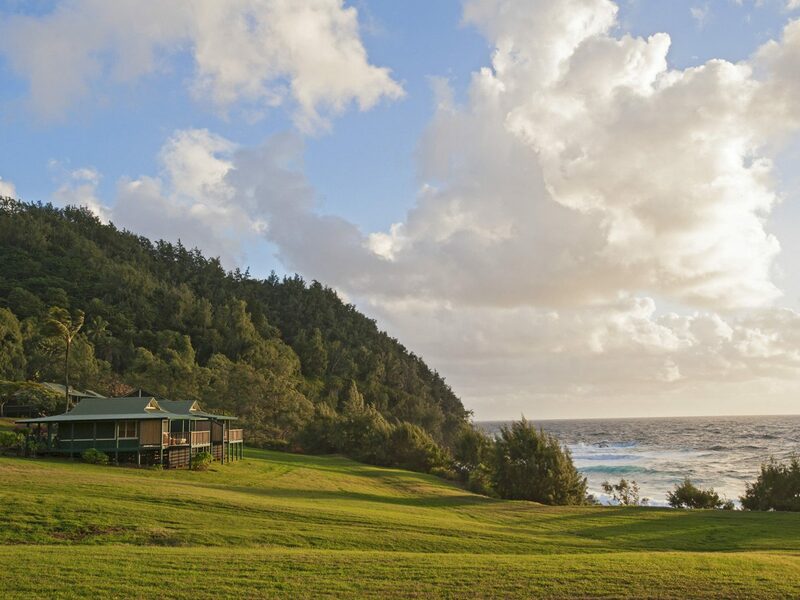 Solitude reigns at this all-suite resort, originally built as a private estate in 1936. 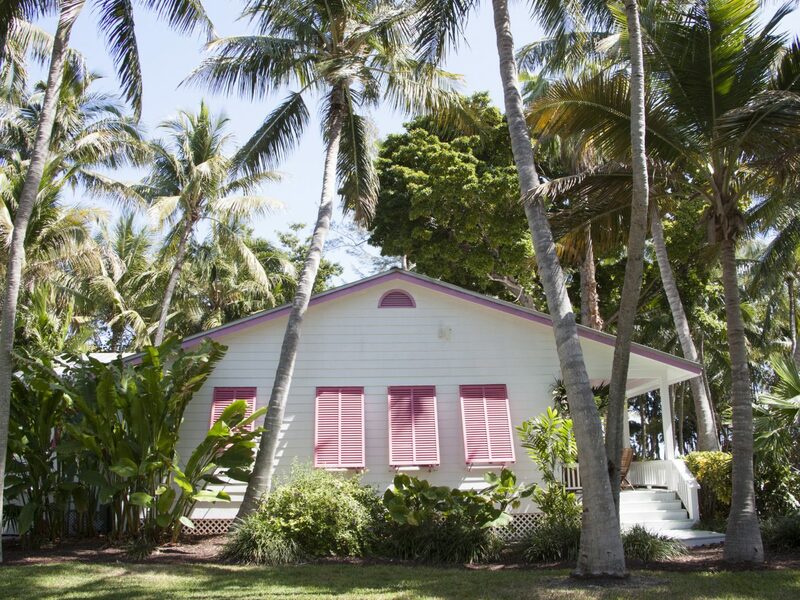 The former coconut plantation on Islamorada now houses 18 colonial-style cottages, whose open layouts, private verandas, and rustic accents (whitewashed walls, wicker furniture, colorful shutters) embody an authentic "Old Florida" look typically absent at most mega-resorts. 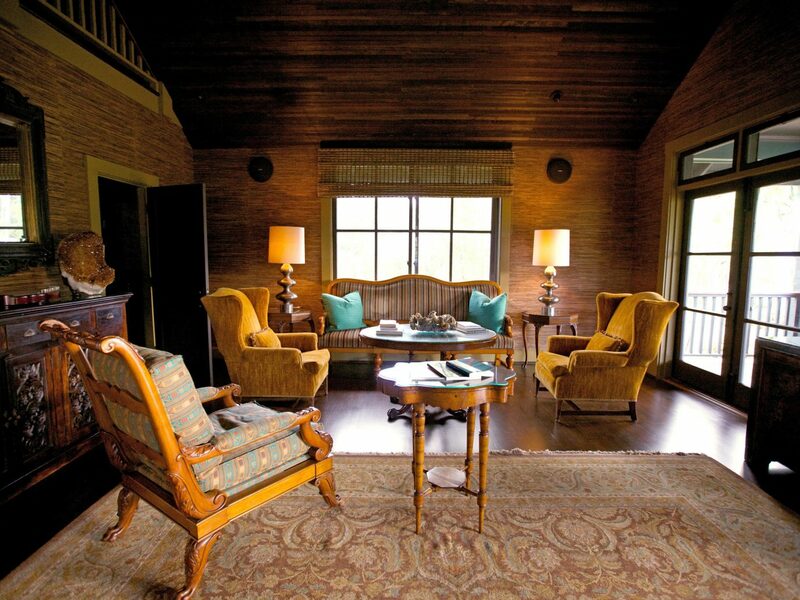 There isn’t much here to entertain—save for swimming off the property’s pier and the intimate spa for basic treatments—but Cheeca Lodge is right next door. 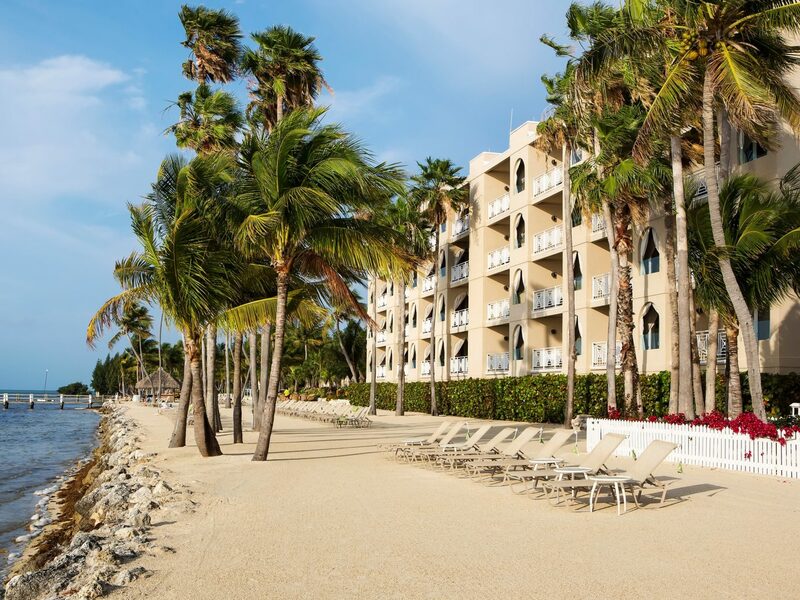 This Islamorada mainstay, one of the best hotels in the Florida Keys, has hosted the likes of Bing Crosby and Paul Newman—and outlasted the ravages of hurricanes and fire—to celebrate its 71st anniversary this year. 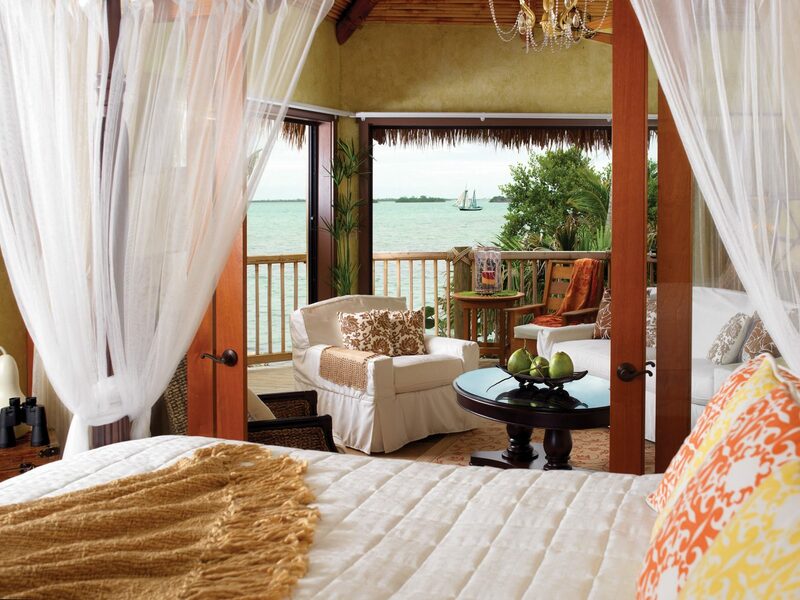 The accommodations, however, are anything but dated: West Indies-inspired décor (think dark mahogany furniture, paddle ceiling fans, and tropical art) warm the 214 guest rooms, each with its own balcony and soaking tub, while the property’s Nikai Sushi Bar & Restaurant serves creative takes on sushi. Hoping to avoid little ones? 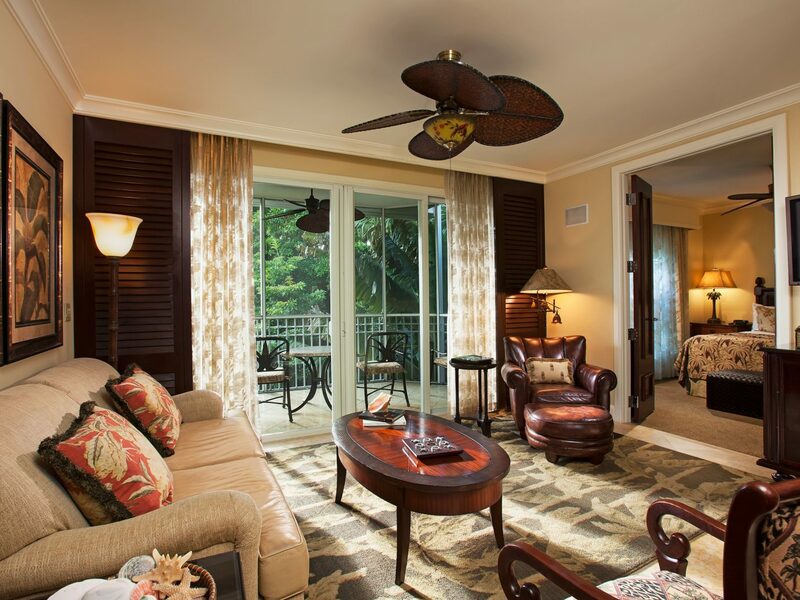 Families often send them off to Camp Cheeca for the day before taking a spin in the adults-only lap pool.